Two revolutionary breakthroughs have favored the international development of pharmaceutical compounds: on one hand the International Conferences on Harmonization (ICH), on the other hand the computer sciences. ICH provides tremendous support for the strategies in general by creating global guidelines, and these recommend the basis for research, for preclinical and clinical development. A great number of solutions for detailed pending issues in the areas of Quality, Safety and Efficacy are offered. The enormous amount of data is then organized for the Common Technical Dossier by teams of experimental researchers, physicians, computer scientists and statisticians for submission to Regulatory Agencies for the final evaluations necessary before the market authorization. Thus, the pharmaceutical field is passing through a major period of transformation. Many changes are driven by information technology, but also by enormous progress in medical scientific research. Therefore, it has to be recognized that many breakthroughs, made in labs as well as on laptops, have changed and facilitated the pharmaceutical world. This chapter highlights the progress in the International Conferences on Harmonization during the last decades; the focus is on preclinical Safety (Pharmacology and Regulatory Toxicology) with the objectives to identify risks for drugs in development by in sillico, in vitro and in vivo methods to prevent, treat and cure diseases. When needed, then also regional guidances, e.g. from US Food and Drug Administration (FDA) or European Medicines Agency (EMA) are referred to. This global, complex procedure reveals: we are now living in the age of big data and success is only possible by an enthusiastic multidisciplinary communication and transparent cooperation. The International Conferences for Harmonisation of Technical Requirements for Pharmaceuticals for Human Use is now rebaptized into the International Council for Harmonisation of Technical Requirements for Pharmaceuticals for Human Use (ICH). ICH continuous in bringing together the regulatory authorities and pharmaceutical industry to discuss scientific and technical aspects of drug development and registration. This was an important decision, because in the 1980s a great number of differing discrepancies came into existence for the drug development in different areas of the world with the result that many studies for quality, safety, and efficacy had to be repeated. Figure 1 illustrates one example from 1986, where more than 12 months studies were requested, even when clinical treatment was only intended for 1 week. Since its inception in 1990, ICH has gradually evolved to respond to the increasingly global face of drug development. ICH’s mission is to achieve greater comparable requirements worldwide to ensure that safe, effective, and high-quality medicines are developed and registered in the most resource-efficient manner. The International Conferences was jointly supported and organized by the Commission of the European Communities (CEC), the US Food and Drug Administration (FDA), and the Japanese Ministry of Health and Welfare (MHW), together with the pharmaceutical industry, as represented by the International Federation of Pharmaceutical Manufacturers Associations (IFPMA), the European Federation of Pharmaceutical Industry Associations (EFPIA), the US Pharmaceutical Manufacturers Association (PMA), and the Japanese Pharmaceutical Manufacturers Association (PMA) (Table 1). Many important initiatives have been undertaken between regulatory authorities and industry associations, particularly on a bilateral basis first, to promote harmonization of regulatory requirements between the three regions Japan, the USA, and the European Community. ICH owes much to these initiatives of experts during international symposia. ICH has been very successful in this harmonization process; its expansion from a three-party movement to an internationally active process is supported worldwide. ICH marks today 25 years of successful transparent cooperation. Its reduction from huge international conferences to a more counseling organization reflects the fact that many of the major issues in quality, safety, and efficacy have been agreed upon and today focuses on special problems. The organization for the process of creating guidances has been clarified; the ICH Steering Committee governs and controls the objectives and their progress on every step (Fig. 2). The groups of experts are competent and self-critical, knowing that often special expertise is needed. ICH then allows specialists to be invited as consultants to the discussions to lift conclusions up to the state-of-the art levels. In addition, the ICH Step 2 Consensus papers are published and submitted to comments for a period of 6 months. Hereby all levels of information and recommendation need to be respected for harmonization development to optimize the design of the individual tests and supported the endeavor to avoid redundant studies. ICH guidelines represent always the highest level of scientific and regulatory recommendations. Regional guidelines like those from the EMA or FDA refine the ICH guidances by adding important details which also have to be taken into consideration. As an example, the ICH guidelines on carcinogenicity (S1 A-C) are supplemented by additional information via the EMA guideline on carcinogenicity on which organs need to be sampled and assessed by microscopic evaluation, or that this work should preferably be done by one board certified pathologist, or that historical data are only acceptable if these are not older than 5 years, due to a possible genetic drift in the number of generations during breeding. Thereafter, on the level of OECD guidelines, all details of the individual studies can be considered. Accordingly, complete regulatory guidance can only be gained when all specific guidelines are respected (Table 2). This chapter focuses on safety. Safety means in the ICH language: Nonclinical safety investigations like toxicology or safety pharmacology studies, which identify undesirable and often unexpected adverse effects induced by pharmaceutical or chemical compounds. In vitro or in vivo investigations describe the type and degree of toxicity and assess the risks first for nonclinical models. The results support the subsequent management of the risks in humans, when participating in clinical trials or later as patients after market authorization, and attempt to analyze the mechanisms behind the alterations; they extrapolate preclinical hazards to humans and finally help to communicate these risks to populations concerned with exposure of that particular substance. Test strategies for toxicological investigations have been refined and the extrapolation of preclinical results to humans improved. Soon after the finalization of important guidelines it became visible, that unnecessary studies were avoided, and as a result a number of animals could be saved for experiments as shown in 1997 (Table 3). The assessments of all properties should be conducted using high-quality scientific standards with data collection records readily available and in compliance with good laboratory practices (GLP) regulations stressing the requirement to document all results and provide safe conditions for archiving. The safety of drugs is of public interest; therefore, Ethical Committees take care of the safety of volunteers and patients as long as clinical investigations are running. Regulatory agencies have become partners for Industry and offer scientific advice, especially when the development reaches critical steps as, e.g., the decisions for administering the new drug for the first time to humans or later at the end of Phase II when an enormous extension in the number of patient enrolments takes place or finally for the MAA (Market Authorization Application). With the creation of the International Conferences/Council of Harmonisation (ICH), many of international initiatives were channeled into a global process, which continuous with the running revisions and updates of all considerations. The World Health Organization (WHO) is highly active in distributing existing knowledge, also in countries of development. There are a number of regional societies supporting this process (Table 4). Global Cooperation Groups (GCG) address increasing interest by non-ICH parties in ICH guidelines and operations. These groups facilitate dissemination of information on ICH activities, guidelines, and their use. The underlying principle is that ICH will not seek to impose its views, but the GCG will serve as resource for information. Four brochures have been published on ICH and GCG, available at ICH website www.ich.org. The ICH focuses on guidances for quality, preclinical safety (= toxicology), and efficacy (clinical effective substances) of pharmaceutical compounds. This section illustrates all ICH guidelines important for the safe use of drugs worldwide. Under the heading of S are all guidelines collected which contribute to the preclinical safety of pharmaceutical compounds. These can be in vitro experiments or classical toxicity studies in animals identifying unexpected adverse reactions or safety pharmacology investigations focusing on damages of physiological functions. Besides the general GLP requirements, all safety studies should always be supported by kinetic information; there is a need to know at which exposure levels which undesirable effects appear and if these reactions have any clinical importance or if thresholds for reactivity can be denominated for human conditions and therefore are acceptable if used with care. A Steering Committee was appointed with members from EU, FDA, MHW, EFPIA, JPMA, PMA, and IFPMA, with observers from the WHO and from the regulatory authorities of Canada and Switzerland (for EFTA). The Steering Committee sets up three joint industry/regulatory Expert Working Groups to deal with the technical aspects of the three main subject areas – quality, safety, and efficacy – which were discussed in three parallel workshops during the conferences. Each of the Expert Working Groups has members, representing EU, FDA, MHW, EFPIA, PMA, and JPMA. With advice from these technical Working Groups, the Steering Committee was responsible for the selection and prioritization of the topics discussed at the Workshops at the ICH conferences (Table 1). The International Conference on Harmonization differs from many other harmonization initiatives in that it has a recognized status and is backed by a commitment on the part of both industry and regulators, to facilitate greater harmonization of technical requirements in the three regions and today worldwide. Commitment to these objectives, set out in the terms of reference, was reaffirmed by the Steering Committee in a statement issued first following the meeting held in Tokyo, October 1990. There is considerable success of the international discussions and constructive solutions documented in the guidelines. Quality: There are more than 20 guidelines focusing on issues concerning the quality of compounds. These deal with issues like stability, analytical validation, detailed solutions how to handle impurities, further aspects of pharmacopeias, quality of biotechnology-derived, specifications, manufacturing practices, pharmaceutical development, quality risk assessments, pharmaceutical quality systems, development and manufacture of drug substances, and life cycle management. In addition there are a number of issues with translateral importance, many of these can be found under the headings of multidisciplinary guidelines and sections. And in addition, like in quality and safety, there are a number of multidisciplinary guidelines, clarifying the interrelationships of efficacy with quality and safety. The essential objectives, scopes, and principles of the clinical guidelines are summarized in the following. E1 guideline was finalized under Step 4 in October 1994. This document gives recommendations on the numbers of patients and duration of exposure for the safety evaluation of drugs intended for the long-term treatment of non-life-threatening conditions. The overall safety evaluation of the test drug(s)/investigational product(s) should be reviewed, with particular attention to events resulting in changes of dose or need for concomitant medication, serious adverse events, events resulting in withdrawal, and deaths. Any patients or patient groups at increased risk should be identified and particular attention paid to potentially vulnerable patients who may be present in small numbers, e.g., children, pregnant women, frail elderly, people with marked abnormalities of drug metabolism or excretion, etc. The implication of the safety evaluation for the possible uses of the drug should be described. The discussion and conclusions should clearly identify any new or unexpected findings, comment on their significance, and discuss any potential problems such as inconsistencies between related measures. The clinical relevance and importance of the results should also be discussed in the light of other existing data. Any specific benefits or special precautions required for individual subjects or at-risk groups and any implications for the conduct of future studies should be identified. Dose-response data are desirable for almost all new chemical entities entering the market. These data should be derived from study designs that are sound and scientifically based; a variety of different designs can give valid information. The studies should be well-controlled, using accepted approaches to minimize bias. In addition to carrying out formal dose-response studies, sponsors should examine the entire database for possible dose-response information. Dose-response data should be explored also for possible differences in subsets based on demographic characteristics, such as age, gender, or race. Knowledge whether there are pharmacokinetic differences among these groups, e.g., due to metabolic differences, differences in body habitus, or composition will be helpful. Informative dose-response data, like information on responses in special populations, on long-term use, on potential drug-drug and drug-disease interactions, is expected but might, in the face of a major therapeutic benefit or urgent need, or very low levels of observed toxicity, become a deferred requirement. This guidance describes how a sponsor developing a medicine for a new region can deal with the possibility that ethnic factors could influence the effects (safety and efficacy) of medicines and the risk/benefit assessment in different populations. Results from the foreign clinical trials could comprise most, or in some cases, all of the clinical data package for approval in the new region, so long as they are carried out according to the requirements of the new region. Acceptance in the new region of such foreign clinical data may be achieved by generating “bridging” data in order to extrapolate the safety and efficacy data from the population in the foreign region(s) to the population in the new region. Clinical trials should be conducted in accordance with the ethical principles that have their origin in the Declaration of Helsinki and that are consistent with GCP and the applicable regulatory requirement(s). Before a trial is initiated, foreseeable risks and inconveniences should be weighed against the anticipated benefit for the individual trial subject and society. A trial should be initiated and continued only if the anticipated benefits justify the risks. The rights, safety, and well-being of the trial subjects are the most important considerations and should prevail over interests of science and society. The available nonclinical and clinical information of an investigational product should be adequate to support the proposed clinical trial. Clinical trials should be scientifically sound, and described in a clear, detailed protocol, which has received acceptance prior institutional review board (IRB)/independent ethics committee (IEC) approval/favorable opinion. The medical care given to, and medical decisions made on behalf of, subjects should always be the responsibility of a qualified physician or of a qualified dentist. Freely given informed consent should be obtained from every subject prior to clinical trial participation. Guideline for good clinical practice E6(R2) EMA/CHMP/ICH/135/1995 Page 15/70 2.10. All clinical trial information should be recorded, handled, and stored in a way that allows its accurate reporting, interpretation, and verification. Addendum: The confidentiality of records that could identify subjects should be protected, respecting the privacy and confidentiality rules in accordance with the applicable regulatory requirement(s). Why do we need an adequate representation of geriatric patients in the clinical database? The geriatric population has age-related physiological changes that can affect the pharmacokinetics of the drug, and the pharmacodynamic response to the drug, both of which can influence the drug-response and the dose-response relationship. Geriatric patients are more prone to adverse effects since they often have comorbidities and are taking concomitant therapies that could interact with the investigational drug. The adverse effects can be more severe, or less tolerated, and have more serious consequences than in the non-geriatric population. With the increasing size of the geriatric population (including patients 75 and older) and in view of the recent advances in pharmacokinetics and pharmacodynamics since the ICH E7 guideline was established in 1993, the importance of geriatric data (from the entire spectrum of the geriatric patient population) in a drug evaluation program has increased. Not all potential differences in pharmacokinetics, pharmacodynamics, disease-drug and drug-drug interactions, and clinical response that can occur in the geriatric population can be predicted from non-geriatric populations, as the geriatric patients are far more likely to have multiple illnesses and to be receiving multiple drugs. Therefore, to assess the benefit/risk balance of a drug that will be used in the geriatric population, these patients should be appropriately represented in clinical trials. Objectives: In the three ICH regions, the evolution of drug development strategies and evaluation processes has led to the establishment of regional guidances on general considerations for clinical trials and the process of clinical development of pharmaceuticals for human use. This harmonized guideline is derived from those regional documents as well as from ICH guidelines. Describe internationally accepted principles and practices in the conduct of both individual clinical trials and overall development strategy for new medicinal products. Facilitate the evaluation and acceptance of foreign clinical trial data by promoting common understanding of general principles, general approaches, and the definition of relevant terms. Present an overview of the ICH clinical safety and efficacy documents and facilitate the user’s access to guidance pertinent to clinical trials within these documents. Provide a separate glossary of terms used in the ICH clinical safety and efficacy related documents that pertain to clinical trials and indicate which documents contain them. The term “drug” should be considered synonymous with “investigational (medicinal) product,” “medicinal product,” and “pharmaceutical product” including vaccines and other biological products. The principles established in this guideline may also be applied to other clinical investigations (e.g., radiotherapy, psychotherapy, surgery, medical devices, and alternative therapies). Scope and direction: The focus of this guidance is on statistical principles. It does not address the use of specific statistical procedures or methods. Specific procedural steps to ensure that principles are implemented properly are the responsibility of the sponsor. This guidance should be of interest to individuals from a broad range of scientific disciplines. However, it is assumed that the actual responsibility for all statistical work associated with clinical trials will lie with an appropriately qualified and experienced statistician, as indicated in ICH E6. The role and responsibility of the trial statistician, in collaboration with other clinical trial professionals, is to ensure that statistical principles are applied appropriately in clinical trials supporting drug development. For each clinical trial contributing to a marketing application, all important details of its design and conduct and the principal features of its proposed statistical analysis should be clearly specified in a protocol written before the trial begins. The protocol and subsequent amendments should be approved by the responsible personnel, including the trial statistician. The trial statistician should ensure that the protocol and any amendments cover all relevant statistical issues clearly and accurately, using technical terminology as appropriate. The principles outlined in this guidance are primarily relevant to clinical trials conducted in the later phases of development, many of which are confirmatory trials of efficacy. In addition to efficacy, confirmatory trials may have as their primary variable a safety variable (e.g., an adverse event, a clinical laboratory variable, or an electrocardiographic measure) and a pharmacodynamic or a pharmacokinetic variable (as in a confirmatory bioequivalence trial). Although the early phases of drug development consist mainly of clinical trials that are exploratory in nature, statistical principles are also relevant to these clinical trials. The main principle is to minimizing bias and maximizing precision. It is important to identify potential sources of bias as completely as possible to draw valid conclusions from clinical trials. Bias can occur in subtle or unknown ways and its effect is not measurable directly. Control groups have one major purpose: to allow discrimination of patient outcomes (e.g., changes in symptoms, signs, or other morbidity) caused by the test treatment from outcomes caused by other factors, such as the natural progression of the disease, observer or patient expectations, or other treatment. The control group experience tells us what would have happened to patients if they had not received the test treatment or if they had received a different treatment known to be effective. The choice of control group is therefore always a critical decision in designing a clinical trial. That choice affects the inferences that can be drawn from the trial, the ethical acceptability of the trial, the degree to which bias in conducting and analyzing the study can be minimized, the types of subjects that can be recruited and the pace of recruitment, the kind of endpoints that can be studied, the public and scientific credibility of the results, the acceptability of the results by regulatory authorities, and many other features of the study, its conduct, and its interpretation. The general principles described in this guideline are relevant to any controlled trial, but the choice of control group is of particularly critical importance to clinical trials carried out during drug development to demonstrate efficacy. The choice of the control group should be considered in the context of available standard therapies, the adequacy of the evidence to support the chosen design, and ethical considerations. Objectives of the guidance: The number of medicinal products currently labeled for pediatric use is limited. It is the goal of this guidance to encourage and facilitate timely pediatric medicinal product development internationally. The guidance provides an outline of critical issues in pediatric drug development and approaches to the safe, efficient, and ethical study of medicinal products in the pediatric population. General principles: Pediatric patients should be given medicines that have been appropriately evaluated for their use. Safe and effective pharmacotherapy in pediatric patients requires the timely development of information on the proper use of medicinal products in pediatric patients of various ages and, often, the development of pediatric formulations of those products. Advances in formulation chemistry and in pediatric study design will help facilitate the development of medicinal products for pediatric use. Drug development programs should usually include the pediatric patient population when a product is being developed for a disease or condition in adults and if it is anticipated that the product will be used in the pediatric population. Obtaining knowledge of the effects of medicinal products in pediatric patients is an important goal. However, this should be done without compromising the well-being of pediatric patients participating in clinical studies. This responsibility is shared by companies, regulatory authorities, health professionals, and society as a whole. This document provides general principles for the clinical evaluation of new antihypertensive drugs. It describes accepted principles in the three ICH regions versus some region-specific differences. These differences may be harmonized in future but may require discussions with regional regulatory authorities. General principles for the assessment of efficacy: The primary goal is the effect of the drug on systolic and diastolic blood pressures. In the past the primary endpoint of most studies was diastolic blood pressure. Although all drugs to date have reduced both systolic and diastolic blood pressures, the recognition of isolated or predominant systolic hypertension as a significant and remediable risk factor demands explicit evaluation of the effect of a drug on systolic blood pressure. Many clinical trials of many interventions (including low- and high-dose diuretics, reserpine, and beta-blockers, usually as part of combination therapy) have shown consistent beneficial effects on long-term mortality and morbidity, most clearly on stroke and less consistently on cardiovascular events. Whether some drugs or combinations have better effects than others on overall outcomes or on particular outcomes is not yet known. Formal mortality and morbidity outcome studies are not ordinarily required for approval of antihypertensive drugs, and the kind of active control mortality and morbidity studies that would be convincing is not well defined. Results of a large number of ongoing outcome studies could affect this policy and modify requirements. It should be noted that, even if an antihypertensive effect has been proven, a significant concern about a detrimental effect on mortality and/or cardiovascular morbidity might lead to a need for outcome studies. An undesirable property of some non-antiarrhythmic drugs is their ability to delay cardiac repolarization, an effect that can be measured as prolongation of the QT interval on the surface electrocardiogram (ECG). The QT interval represents the duration of ventricular depolarization and subsequent repolarization and is measured from the beginning of the QRS complex to the end of the T wave. A delay in cardiac repolarization creates an electrophysiological environment that favors the development of cardiac arrhythmias, most clearly torsade de pointes (TdP) but possibly other ventricular tachyarrhythmias as well. TdP is a polymorphic ventricular tachyarrhythmia that appears on the ECG as continuous twisting of the vector of the QRS complex around the isoelectric baseline. A feature of TdP is pronounced prolongation of the QT interval in the supraventricular beat preceding the arrhythmia. TdP can degenerate into ventricular fibrillation, leading to sudden death. While the degree of QT prolongation is recognized as an imperfect biomarker for proarrhythmic risk, in general there is a qualitative relationship between QT prolongation and the risk of TdP, especially for drugs that cause substantial prolongation of the QT interval. Because of its inverse relationship to heart rate, the measured QT interval is routinely corrected by means of various formulae to a less heart rate-dependent value known as the QTc interval. It is not clear, however, whether arrhythmia development is more closely related to an increase in the absolute QT interval or QTc. Most drugs that have caused TdP clearly increase both the absolute QT and the QTc (hereafter called QT/QTc). Documented cases of TdP (fatal and nonfatal) associated with the use of a drug have resulted in the withdrawal from the market of several drugs and relegation of other drugs to second-line status. Because prolongation of the QT/QTc interval is the ECG finding associated with the increased susceptibility to these arrhythmias, an adequate premarketing investigation of the safety of a new pharmaceutical agent should include rigorous characterization of its effects on the QT/QTc interval. Objectives: This document provides recommendations to sponsors concerning the design, conduct, analysis, and interpretation of clinical studies to assess the potential of a drug to delay cardiac repolarization. This assessment should include testing the effects of new agents on the QT/QTc interval as well as the collection of cardiovascular adverse events. The assessment of the effects of drugs on cardiac repolarization is the subject of active investigation. When additional data (nonclinical and clinical) are accumulated in the future, this document may be reevaluated and revised. Scope: The recommendations of this document are generally applicable to new drugs having systemic bioavailability but may not apply to products with highly localized distribution and those administered topically and not absorbed. The focus is on agents being developed for uses other than the control of arrhythmias, as antiarrhythmic drugs can prolong the QT/QTc interval as a part of their mechanism of clinical efficacy. While this document is concerned primarily with the development of novel agents, the recommendations might also be applicable to approved drugs when a new dose or route of administration is being developed that results in significantly higher exposure (i.e., Cmax or AUC). Additional ECG data might also be considered appropriate if a new indication or patient population was being pursued. The evaluation of the effect of a drug on the QT interval would also be considered important if the drug or members of its chemical or pharmacological class have been associated with QT/QTc interval prolongation, TdP, or sudden cardiac death during post-marketing surveillance. This guideline should be read together with the preclinical guideline ICH S7 B. The Expert Groups of E14 and S7 B have and will continue to cooperate to create strategies which will provide greater safety for patients. Objectives of the guideline: With the increasing globalization of drug development, it has become important that data from multiregional clinical trials (MRCTs) can be accepted by regulatory authorities across regions and countries as the primary source of evidence, to support marketing approval of drugs (medicinal products). The purpose of this guideline is to describe general principles for the planning and design of MRCTs with the aim of increasing the acceptability of MRCTs in global regulatory submissions. Background: Data from MRCTs are often submitted to multiple regulatory authorities without a previously harmonized regulatory view on the development program. There are currently no ICH guidelines that deal specifically with the planning and design of MRCTs, although the ICH E5 guideline covers issues relating to the bridging of results from one region to another. MRCTs conducted according to the present guideline will allow investigation of treatment effects including safety evaluations in the overall population as well as investigations of the potential impact of intrinsic and extrinsic factors, thus offering an earlier access to new drugs worldwide. Scope of the guideline: MRCT is defined in the present guideline as a clinical trial conducted in more than one region under a single protocol. Such data will be submitted to multiple regulatory authorities for drug approval (including approval of additional indications, new formulations, and new dosing regimens) and for studies conducted to satisfy post-marketing requirements. This new guideline is proposed to provide harmonized guidance on when it would be appropriate to use a targeted approach to safety data collection in some late-stage premarketing or post-marketing studies and how such an approach would be implemented. Recognizing that protection of patient welfare during drug development is critically important, unnecessary data collection may be burdensome to patients and serve as a disincentive to participation in clinical research. By tailoring safety data collection in some circumstances, the burden to patients would be reduced, a larger number of informative clinical studies could be carried out with greater efficiency, studies could be conducted with greater global participation, and the public health would be better served. The proposed guideline would be consistent with risk-based approaches and quality-by-design principles. In the following a survey is given in regard to the guidelines on preclinical safety (Toxicology or Safety Pharmacology). There are a number of endpoints which should not be tested in humans; these are mainly the assessment of genotoxicity, teratogenicity, and cancerogenicity. Especially the cancerogenic risk can usually not be investigated in humans; it is ethically forbidden and such a risk by new drugs for patients is unacceptable. The potential to induce tumors, therefore, can only be evaluated by nonclinical studies. The nonclinical testing for carcinogenic potential today employs short-, mid-, and long-term studies in rodents. Such studies are considered to have a relatively high power of predictivity for the carcinogenic risk in humans. Treatment with compounds associated with carcinogenic potential is unacceptable for banal indications; for severe indications like life-threatening cancer diseases, the treatment with carcinogenic compounds often does not increase the overall risk of the underlying disease the patient suffers from. Tumors are usually the result of a multihit, multistep long-term process which needs in humans many years. These long durations are reflected in animal testing: carcinogenicity studies are often lifelong studies; the duration in these models is mostly 24 months in rats and today also in mice (former duration was 18 months in mice). Carcinogenicity studies are therefore the most expensive (approximately 1.5–4 million dollars or euros) preclinical studies. Accordingly, they should be well designed and conducted in such a way that they clearly indicate any risk involved. The basis of the strategies is always literature research, what is known from the chemical class of the new drug, which pharmacodynamic effects can be expected, detail by detail is collected for a weight-of-evidence approach before the experimental part starts with dose-range finding tests (Tables 5 and 6). When are carcinogenicity studies needed? This guideline was adopted in 1997 and implemented in all regions. Any cause for concern derived from laboratory investigations, animal toxicology studies, and data in humans may lead to a need for carcinogenicity studies. Carcinogenicity studies should be performed for any pharmaceutical whose expected clinical use is continuous for at least 6 months. Certain classes of compounds may not be used continuously over a minimum of 6 months but may be expected to be administered repeatedly in an intermittent manner. For pharmaceuticals used frequently in an intermittent manner during the treatment of chronic or recurrent conditions, carcinogenicity studies are generally also needed. Examples of such conditions include allergic rhinitis, depression, and anxiety. Pharmaceuticals administered infrequently or for short duration of exposure (e.g., anesthetics and radiolabel imaging agents) do not need carcinogenicity studies (Table 7). The time after consumption is too short to cause any clinically relevant damages leading to neoplasms. When are bioassays not necessary? Unequivocally genotoxic compounds need not to be subjected to long-term carcinogenicity studies. It is assumed that these products, damaging the DNA, will cause neoplasias. The S1A guideline offers in addition an alternative: if a drug is intended to be administered chronically to humans, a chronic toxicity study (up to 1 year) may be necessary to detect early tumorigenic effects. In practice, this option has not been used since 1997. Main concern against this type of studies by industry is the lack of historical comparison data. The tumor evaluation was always based on 2-year data. Other conditions which justify not conducting carcinogenicity assays are summarized in (Table 7). In instances, where the life expectancy in the indicated population is short (i.e., less than 2–3 years), no long-term carcinogenicity studies may be required. For example, oncolytic agents intended for treatment of advanced systemic disease do not generally need carcinogenicity studies. In cases where the therapeutic agent for cancer is generally successful and life is significantly prolonged, there may be requirements to provide knowledge about the tumorigenic risk. When such pharmaceuticals are intended for adjuvant therapy in tumor-free patients or for prolonged use in non-cancer indications, carcinogenicity studies are usually needed. Pharmaceuticals showing poor systemic exposure from topical routes in humans may not need studies by the oral route to assess the carcinogenic potential to internal organs. Carcinogenicity studies are not generally needed for endogenous substances, when given essentially as replacement therapy (i.e., physiological levels), particularly, where there is previous clinical experience with similar products (e.g., animal insulins, pituitary hormones). 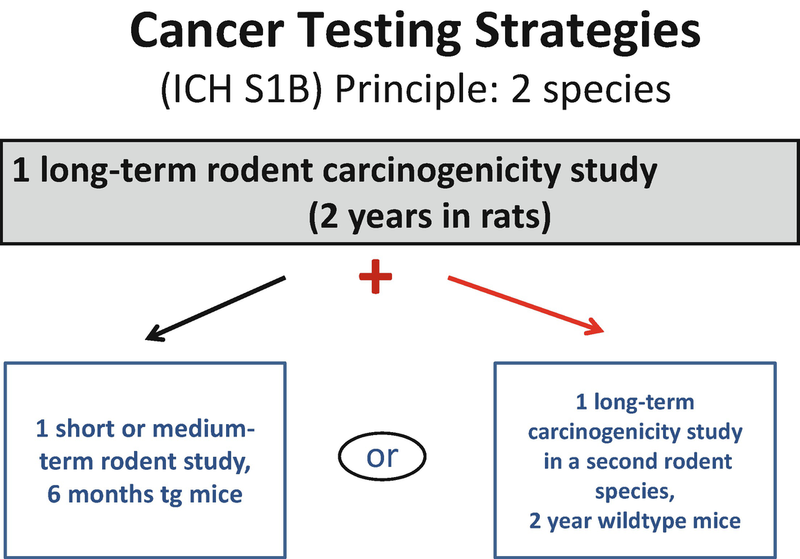 In general, the need for the 2-year rodent assay to assess a carcinogenic potential continues to be questioned because of too many positive outcomes. In addition, retrospective analyses of various datasets (PhRMA, FDA, JPMA, and EU) concluded that based on genotoxicity and non-genotoxic mechanisms, detectable in pharmacology and chronic toxicity data (usually present at the end of phase 2 in the development of a new pharmaceutical), the outcome of the 2-year rat carcinogenicity study could be predicted with reasonable assurance (Table 8). There are two extremes of the spectrum: Negative predictions can be made when predictive carcinogenic signals are absent, and positive predictions are possible when such signals are present. In between a category of compounds still remain for which the outcome cannot be predicted with sufficient certainty and where experimental studies may add value to identify real hazards. These hypotheses stimulated ICH to test in an ongoing common exercise by Drug Regulatory Agencies and Industry if there are chances to reduce the number of rodent bioassays. Such prospective evaluation is necessary to justify any revision of the present recommendations of the ICH guideline S1 (EMA 2016). Sponsors are strongly encouraged to submit Carcinogenicity Assessment Documents (CADs) to Drug Regulatory Agencies (DRAs) for all investigational pharmaceuticals with ongoing or planned 2-year rat carcinogenicity studies. The CAD would address the overall carcinogenic risk of the investigational drug as predicted by the available knowledge on pharmacology and toxicology and a rationale for why the conduct of long-term studies would or would not add value to that assessment, in the latter case by a request of a “virtual” waiver. DRAs independently review the submitted documents and evaluate the degree of concordance with sponsors. During this prospective evaluation period, waiver requests will not be granted, but the data are intended solely for collecting real-world experience. Submitted CADs will finely be compared to the real outcome of the 2-year carcinogenicity studies and/or any other factors of a weight-of-evidence evaluation. Main objective will be the assessment of accuracy of the predictions, with emphasis on the “virtual” waivers. The final conclusion was originally intended to be based on 50 examples; by the end of 2017, 46 cases were available; they are considered sufficient to modify any conclusions. Their prospective assessments by industry and agencies are now compared to the final outcome of the real long-term studies. There seems hope that a revision of the guideline S1 A may be justified. The competent ICH Expert Groups will come to a conclusion in 2019. S1B was adopted and implemented in 1997. Historically, the regulatory requirements for the assessment of the carcinogenic potential were the conduct of long-term carcinogenicity studies in two rodent species, usually the rat and the mouse. It was the mission of ICH to examine whether this practice could be reduced without compromising human safety. The discussion in the Expert Working Group soon revealed that the rule of testing in two species had to be resumed and the American consumer societies demanded continuation with the same standard of safety as before, based on two species testing. The species selected should be appropriate, based on considerations on pharmacology, repeated-dose toxicology data, metabolism (see also guidelines S1C and S3A), toxicokinetics (see also guidelines S1C, S3A, and S3B), and route of administration (e.g., less common routes such as dermal and inhalation). In the absence of clear evidence favoring one species, it is recommended that the rat be selected for the long-term study, because data collections by the European, American, and Japanese colleagues resulted in the conclusion that the rat was the more sensitive species and historical data were more meaningful in this species. Additional tests may either be short- or medium-term in vivo rodent test systems, usually selecting the mouse. According to the guideline, these models of carcinogenesis may use transgenic or neonatal rodents or may include models of initiation and promotion in rodents (but the latter option is today considered to be useful models for hepatic carcinogenesis or adequate mechanistic studies, but not as assays appropriate as general screen for drug-induced potential for carcinogenesis). Also neonatal animals are hardly used any longer. All these models were assessed with approximately 40 different compounds in a strenuous study by the International Life Science Institute (ILSI/HESI) (Cohen et al. 2001). The most appropriate models today are transgenic mouse models with either activated oncogenes, like Tg.rasH2 model or Tg.AC skin model (favored especially in the USA) or a transgenic model with inactivated tumor suppressor gene, the p53 “knock out” (=p53+/−) model (Table 9). The Food and Drug Administration (FDA) supports the selection of these models and considers that P53+/−is the right choice, if a compound is clearly or equivocally genotoxic. The Tg.AC model is adequate for dermally applied products, neonatal mice have been used when the drug is clearly or equivocally genotoxic, and the Tg.Hras2 can be recommended for genotoxic or non-genotoxic products. The EU/EMA concluded in addition that p53 and Tg.rasH2 are equally sensitive to genotoxic compounds (although some false positives or false negatives have been identified). Tg.rasH2 is more sensitive to peroxisome proliferators, and altogether p53 and Tg.rasH2 are acceptable in a regulatory context as alternatives. The guideline describes in the “Notes” important information about the new models. The Syrian hamster embryo (SHE) cell-transformation assay represents a short-term in vitro assay capable of predicting rodent carcinogenicity of chemicals with a high degree of concordance (LeBoeuf et al. 1996). The SHE assay model identifies the earliest identifiable stage in carcinogenicity, morphological cell transformation. In contrast to other short-term in vitro assays, both genotoxic and epigenetic carcinogens are detected. The SHE assay, originally developed by Berwald and Sachs (1965) and modified as described by LeBoeuf and Kerckaert 1986, was included in the International Life Sciences Institute, Health and Environmental Sciences Institute (ILSI/HESI). Alternative carcinogenicity testing (ACT) collaboration provides additional information on the use of short-term in vitro tests in predicting carcinogenic potential. A total of 19 ILSI compounds have been tested in the SHE assay: 15 were tested for this project, whereas clofibrate, methapyrilene, reserpine, and di(2-ethylhexyl)phalate (DEHP) were tested previously. Of the three noncarcinogenic compounds tested, two were negative in the SHE assay, whereas ampicillin was tested positive. The remaining 16 compounds tested were either known rodent carcinogens and/or human carcinogens. From this group, 15 tested positive in the SHE assay, whereas phenacetin, a genotoxic carcinogen, was tested negative. Therefore, overall concordance between the SHE assay and rodent bioassay was 89% (17/19), whereas concordance with known or predicted human carcinogens was 37% (7/19). Based on these data, it is concluded that the SHE cell-transformation assay has utility for predicting the results of the rodent carcinogenesis bioassay but lacks the selectivity to distinguish between rodent and human carcinogens. Note 2 on conditions to limit testing with one species only: if the findings of a short- or long-term carcinogenicity study and of genotoxicity tests and other data indicate that a pharmaceutical clearly poses a carcinogenic hazard to humans, a second carcinogenicity study would not usually be useful. Note 3 provides details about the short- or mid-term models. Evidence of tumorigenic effects of the drug in rodent models should be evaluated in light of the tumor incidence and latency, the pharmacokinetics of the drug in the rodent models as compared to humans, and data from any ancillary or mechanistic studies that are informative with respect to the relevance of the observed effects to clinical conditions. The results from any tests cited above should be considered as part of the overall “weight-of-evidence” taking into account the scientific status of the test systems. It needs finally to be stressed that a long-term carcinogenicity study in a second rodent species (e.g., mice) is still considered acceptable. When looking back at recent applications, these options of life span studies in the mouse have not been replaced by transgenic models. This is the result of the analyses of Friedrich and Olejniczak in 2011 reflecting the situation until 2009 (Table 10). It looks that there is a trend in experimental strategies that transgenic mice are increasingly part of the routine testing paradigm. Further observations should be performed. This guideline was adopted and implemented in the different regions in 1997. Traditionally, carcinogenicity studies for chemical agents have relied upon the maximally tolerated dose (MTD) as the standard method for high-dose selection. Usually, 3 months for long-term studies or 1 month for neonatal or transgenic mice with a range of different dose levels, often 5. There is a focus on toxicity endpoints, determination of MTD with profiling of AUC (e.g., 1 and 3 months for rats or 1 and 4 weeks for alternatives). Toxicokinetics: In many cases it is acceptable by agencies to use instead of transgenic animals their wild type associates. Ideally, the doses selected for rodent bioassays for non-genotoxic pharmaceuticals should provide an exposure to the agent, and an adequate margin of safety, without any significant severe chronic dysfunction and compatible with good survival of up to 2 years. Ad 1) The ICH Expert Working Group on safety has agreed to continue the use of the MTD as an acceptable toxicity-based endpoint for high-dose selection for carcinogenicity studies. The MTD is defined as the top dose or maximum-tolerated dose that produces a minimum toxic effect over the course of the carcinogenicity study. Factors to consider are alterations in physiological functions, which would alter the animal’s normal life span or interfere with interpretation of the study. Such factors include no more than 10% decrease in body weight gain relative to controls and target organ toxicity or significant alterations in clinical pathological parameters. Ad 2) For relatively well-tolerated drugs, the alternative of a systemic exposure representing 25 times multiple of the human AUC (at the maximum recommended daily dose) may be an appropriate endpoint for dose selection for carcinogenicity studies for non-genotoxic pharmaceuticals, as a pragmatic solution without any clear-cut scientific justification but supported by data indicating that such a compound does not induce severe toxicities at lower exposure levels. Ad 3) Limitation of absorption: High-dose selection based on saturation of absorption measured by systemic availability of drug-related substances is acceptable. The mid- and low-doses selected for the carcinogenicity study should take into account saturation of metabolic and elimination pathways. If such saturation is identified, then there is no need to raise the dose levels, since exposure will not increase. Ad 4) Pharmacological properties: Pharmacodynamic endpoints for high-dose selection will be highly compound-specific. The high-dose selected should produce a pharmacodynamic response in dosed animals of such magnitude as would preclude further dose escalation. However, the dose should not produce disturbances of physiology or homeostasis. Examples include hypotension, inhibition of blood clotting, or insulin-like effects. Too high exposure would exclude survival up to 2 years and jeopardize the study conclusion. Ad 5) The maximum feasible dose by dietary administration was considered 5% of diet. By many scientists this amount of drug is considered to be too high. Therefore, a new and more reasonable solution was formulated in the guideline ICH/S1C(R), which follows. Addition of a limit dose and related notes of pharmaceuticals. This addendum S1C (R) was adopted in 1998. In determining the high dose for carcinogenicity studies, it may not be necessary to exceed a dose of 1500 mg/kg/day. This limit dose applies only in cases where there is no evidence of genotoxicity and where the maximum recommended human dose does not exceed 500 mg/day. This limit dose helps to calculate the amount of compound needed for such long-term assays. Compared to the upper options, it is not applied very often, since in most cases drug-induced toxicity can be identified. A permanent alteration of genes or chromosomes can cause heritable effects leading to malformations and dysfunctions in the next generation or inducing tumors in the individual patient. The former genotoxicity guidelines: Genotoxicity Guidelines (ICH/S2A and S2B), Genotoxicity: Guidance on Specific Aspects of Regulatory Genotoxicity Tests for Pharmaceuticals, and Genotoxicity: A Standard Battery for Genotoxicity Testing of Pharmaceuticals have been replaced in 2011 by the integrated Guidance on Genotoxicity Testing and Data Interpretation for Pharmaceuticals Intended for Human Use S2(R1) (Current Step 4 version dated 9 November, 2011). The main reasons to revise the previous guidelines were to merge them into one concise guideline, to refocus the sensitivity and specificity of the in vitro assays (e.g., via restriction of upper concentrations to be tested), to include the option to replace these in vitro assays by using mammalian cells, and to define a suitable in vivo test battery option according to improved scientific standards and guidelines from other sources (e.g., OECD guidelines). The revised guideline continues to support the goals of testing to deselect mutagenic/genotoxic drug candidates as early as possible in the development of new molecular therapeutic entities to contribute to the safety of humans. In terms of coverage of genetic endpoints, valid information on gene mutations, structure chromosome aberrations (clastogenicity), and numerical chromosome aberrations (aneugenicity) is required. 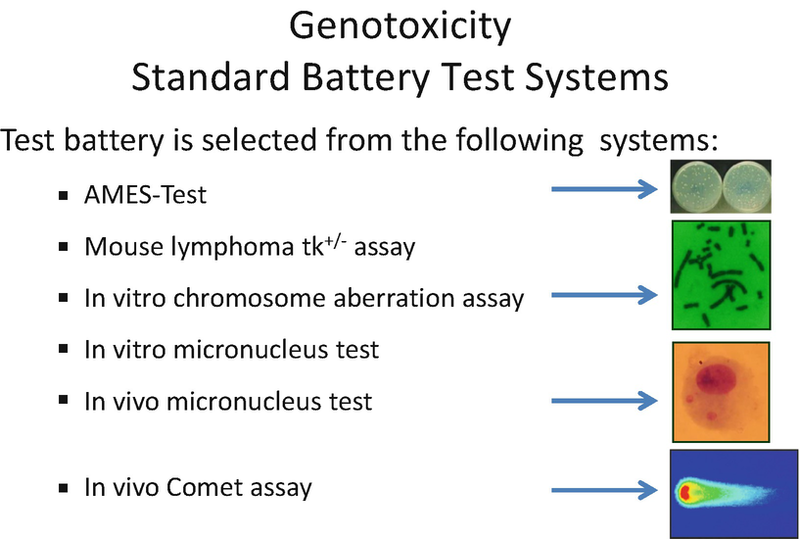 In genetic toxicology, no single test is capable of detecting all relevant genotoxic agents; therefore, a battery of tests is considered appropriate. It traditionally starts with a test for gene mutations in bacteria (Ames). Ames published this test as early as 1973, and it remains in the screening battery also for its easiness of conduct and fast/reliable turnaround of data. It is considered to be robust and predictive for mutagenic carcinogens (Kirkland et al. 2006). As a second test, the ICH S2R guideline offers, besides the in vitro chromosomal aberration test and the mouse lymphoma tk assay, an in vitro micronucleus test (the latter test was not available with a standard protocol before). This assay is supported by many years of validation and considered to be an adequate alternative to the traditional chromosome test (Corvi et al. 2008). Regarding the dose and exposure levels having been used, awareness increased that this procedure did often substantially exaggerate clinical exposure conditions. Accordingly, concentrations of 1 mM (instead of 10 mM) were considered sufficient for nontoxic drug candidates in mammalian cells in vitro. And additionally, these perspectives were further strengthened by limiting the levels of cytotoxicity of not more than 50%. ICH generally pursues the important goal of a reduction in animal testing in all experimental strategies. 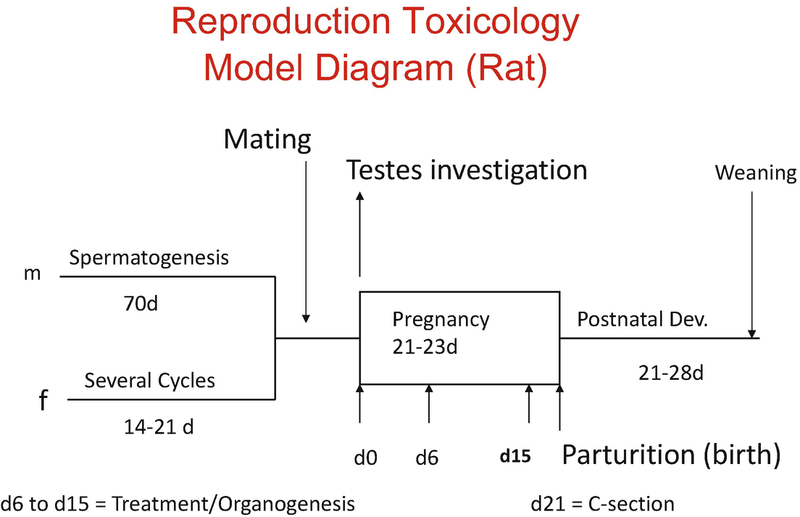 While traditionally an area of importance of in vitro models, this principle has been followed also in S2 R. The assessment of genotoxicity should, where possible, be integrated into repeat dose toxicity studies, e.g., into 4-week rodent studies, where the bone marrow micronucleus test could help to optimize the usage of animals (Fig. 5). Modifications of the standard battery may be necessary for some classes, e.g., antibiotics which are toxic to bacteria or, e.g., for compounds like topoisomerase inhibitors which interfere with the mammalian cell replication system. A selection of additional assays is being proposed; further modifications may be acceptable via discussion in the ICH maintenance process. Alternative strategies may consider assays like the in vivo comet assay (single cell gel electrophoresis measuring DNA strand breaks) or gene mutation tests with transgenic animals or in vivo DNA adduct studies. Support for the interpretation of positive test results and considerations on conditions leading to false-positive data can be found in many excellent publications of this special field of science. It is sharing this special emphasis with the carcinogenicity testing guidelines in terms of the general notion that effects, once incurred, are not reversible. The objectives of toxicokinetics are primarily to describe the systemic exposure achieved in animals and its relationship to dose level and the time course of the toxicity study and, further, to relate exposure levels to toxicological findings, to assess the relevance of these findings to clinical safety, and to support the design as the choice of species and treatment regimen in nonclinical studies. If animals or humans are exposed to pharmaceutical compounds, they will either elicit a pharmacodynamic effect, e.g., show a suppression of blood pressure, or reveal in analytical blood samples exposure levels of the compound. This kinetic information of the parent compound and its metabolites is an important contribution for the extrapolation of safety data from animal studies to humans. Species differ considerably in regard to their kinetic conditions as Cmax, Tmax, area under the curve (AUC), t1/2, and ADME (absorption, distribution, metabolism, and excretion). Therefore, it is important to know what a drug does with the body (what pharmacology and toxicology is induced? ); it is also crucial to know what the body does with the drug. The following toxicokinetic studies are usually distinguished: concomitant toxicokinetics, which are normally integrated in the toxicity studies and other supportive studies which mimic the conditions of the toxicity study. The focus before IND (Table 13 ) is on Tmax, Cmax, and AUCs, while the complexity of pharmacokinetic characterization (like oral bioavailability, plasma half-life, volume of distribution, mean residence time, absorption, solubility, and concentration) is built up during clinical trials and on the basis of comparable human data. Kinetic data should be considered in repeat dose toxicity studies, in genotoxicity studies when there are discrepancies between in vitro and in vivo assays and sufficient exposure can be characterized in the indicator tissue confirming that lack of exposure was not the reason for a negative reaction. Such data are useful for the evaluation of reproductive tests and in cancerogenicity studies where often high exposures cause the appearance of adverse effects. The compound can be bound to plasma proteins, erythrocytes, or other cells or tissues. Therefore, a distinction between “unbound drug” and “free fraction” is relevant. Distribution studies help to optimize the design of preclinical studies. Demonstration of accumulation can, for example, explain toxicity at the site of increased compound accumulation. The affinities of different organs to some drugs can vary considerably. The International Conferences deal with increasing knowledge; scientific data more and more dominate the regulatory area. Translateral data exchange increases. Adverse effects need to be interpretated in the light of dose levels or more precisely of exposure levels. When in 1995 ICH S3 was created, the rule was accepted that all safety data should be supported by kinetic analyses. But today this guideline is more than 20 years old; it needs urgently a revision. AUC and cmax alone are not sufficient any more at the start of development. In contrast to the guideline text, cancerogenicity studies need data also after longer periods than 6 months, e.g., after 12 and 24 months, sometimes including more metabolic refinement. Consider in that context that some drugs induce after longer-term exposure, e.g., hepatotoxicity or renal lesions, leading to increases of blood concentrations of parent compounds or metabolites. Therefore, already before FIM (before first human clinical trials), evaluation of in vitro metabolic data (cytochrome p450) is needed (see ICH M3 R). Plasma protein binding data for animals and humans are essential before exposing large numbers of humans (Phase III). Data for ADME (administration, distribution, metabolism, and excretion) must be compared in animals and humans. This facilitates in the end the decision, if the preclinical safety assessment had used the Most human-like animal species for optimal predictions for both the desirable and undesirable effects for patient conditions. These objectives are supported by new progresses in techniques; there are new sampling techniques, e.g., microsampling, blood spot analyses, tissue samples, or in vitro concentrations; there are more sophisticated and refined analytical procedures, and there is an increased interrelationship of kinetics and pharmacological/toxicological qualifications, facilitated by an increasing number of identified biomarkers, e.g., genomics. Single-dose distribution studies suggest that the half-life of the test compound and/or metabolites in organs or tissues significantly exceeds the half-life of the elimination phase in plasma. Steady-state levels of a compound/metabolite in the circulation, determined in repeated dose pharmacokinetic or toxicokinetic studies, are markedly higher than those predicted from single-dose kinetic studies. When histopathological changes were observed that were not predicted from short-term toxicity studies. Other relevant kinetic questions are the investigations of the potential of compounds to penetrate the barriers of placenta, blood-brain, or excretion into milk. Knowledge about metabolites and their activity is further an important criterion for the assessment of species-specific effects and differences, e.g., the search for the most human-like test model as the best predictor for human reactions focuses on such differences. Metabolism can lead to pharmacologically active metabolites; such knowledge is desirable early in development. In vitro metabolism studies normally precede in vivo preclinical safety assessments. For safety reasons, it is important to identify, and perhaps eliminate, drugs from further development if they are subject to polymorphic metabolism or extensive metabolism by key human enzymes. Knowledge about the cytochrome P450 (CYP450) superfamily of drug metabolizing enzymes is of particular interest. This is one of the guidelines where harmonization continued to be difficult for a long time. This lack of harmonization to recommend clear advice for duration led to the decision for pharmaceutical companies to perform partially duplicative studies for both 6 and 12 months duration. As a consequence the regulatory authorities in the EU, Japan, and USA wondered whether a more unified duration for chronic toxicity testing could be identified. There was clear agreement that rodent studies were only necessary for a maximum duration of 6 months. When a 6-month study in rodents is conducted, then continuous application of pharmaceutical compounds to the indicated population can be assumed. Under such conditions, a long-term carcinogenicity study will usually be performed. This allows long-term exposure and lifelong observation and compensates any lack of long repeated observations. For non-rodents, lifelong exposure is not required, but which duration can be considered as sufficient? The EU proposed as a start a common maximum duration of 6-month studies for rodents and non-rodents. A unified analysis of data from 6- to 12-month dog studies was performed by the ICH members. In 16 cases there were findings observed by 12 months, but not by 6 months. It was concluded that these would or could have been detected in a study of 9 months duration. An agreement on the clinical relevance of these findings could not be reached. The guideline S4A recommends the following: For non-rodents, 12-month studies are usually not necessary, and in the EU 6-month studies are acceptable based on the Directive 75/318/EEC. Accordingly, as a compromise, the Expert Working Group agreed that 9-month studies could be recommended in general. In the US Federal Register, this guideline was published with an FDA Note on ICH/S4A as follows: 9-month studies are acceptable for most development plans; shorter ones like 6-month studies may be acceptable for some drugs, while longer durations, e.g., 12 months, may be more appropriate for others. This advice is characterized by the FDA as their current line of thinking. In practice, FDA agreed with the sponsors in 50% for 9-month studies and in 32% for 6-month studies, while 12-month studies were only requested for compounds with novel mechanisms, or when only sparse clinical data were available, as in indications like HIV. Aids patients should be provided early on with the new treatment, and the lack of complex clinical data is compensated by longer non-rodent studies. Sponsors are advised by the FDA to get in contact with the agency when the maximum duration needs to be determined for non-rodents. Table 14 summarizes the duration of repeat dose studies as agreed in ICH S4. S4 focuses only on dog studies. There is no recommendation on what to do with primate studies. S6 offers some help for tests with biotechnology-derived drugs; the final decision is often only possible by asking for a scientific advice from the agencies. Further, a new species gains relevance for repeat dose assays, which is the Goettingen minipig, a result of breeding without genetic manipulation by the Department of Animal Sciences, Georg-August University Goettingen, Germany. There are many situations where the minipig is excellently predictive for human conditions, as examples cardiovascular or gastrointestinal issues. In the Rethink project (Forster et al. 2010), an impact assessment on minipigs as models for the toxicity of new medicines and chemicals was performed. In this context, Bode et al. (2010) discuss intensively the utility of the minipig as an animal model in regulatory toxicology. Further details were edited in 2012 by McAnulty, Dayan, Ganderup, and Hastings (CRC Press). When new systems or methods are introduced into regulatory toxicological assessments, then a sequence of preclinical studies will be conducted to validate these new methods. The European Center for the Validation of Alternative Methods (ECVAM) has a long tradition to support the validation of such methods which reduce, refine, or replace the use of animals for safety testing and efficacy/potency testing of chemicals, biologicals, and vaccines. The introduction of new animal models is more difficult out of reasons of animal protection. Here the support from regulatory agencies by sharing their experience from often huge databases provides the stimulus. A. Jacobs and JW. van der Laan (2012) provide an overview on the regulatory acceptability of minipigs as a species of choice for the safety evaluation of human pharmaceuticals and medical devices and stress that this species can be a valuable alternative to dogs or nonhuman primates. The special toxicology discipline “Reproductive and Developmental Toxicity” focuses on adverse effects on male and female fertility, birth defects (developmental toxicity, malformations, teratogenicity), and nonphysiological changes that appear shortly before, during, and after birth and during the weaning period. The relevant ICH guidelines describing the requirements for testing and detailing experimental studies are the ICH guideline S5A and S5B. These were among the first guidelines finalized in 1995, supporting the successful ICH process. What was missing initially was the integration into the combinatorial test programs, the issues addressing male fertility, namely, for reason of protecting especially young male volunteers in clinical Phase I, when humans are being exposed for the first time to developmental medicinal compounds. Finally, the decision was taken to incorporate the considerations of such male fertility testing into the main text of the guideline, which took place when the previous addendum, actually dated from 9 November, 2000, was incorporated into the common guideline S5 (R) in November 2005 by a successful revision process. In humans, malformations and changes in development are relatively rare (around 6%) and often caused by accidental genetic errors; some are induced by external factors, e.g., chemical drugs. If a compound is labeled as a developmental toxicant, then the occurrence of structural or functional abnormalities in offspring is significantly increased at a dose level which does not induce severe maternal toxicity. If malformations are developed, then exposure levels of the individual fetuses are important, but also at which time of the development exposure was high. The inclusion of kinetic data helps to support the evaluation. These segments can be tested separately or in a combined manner. 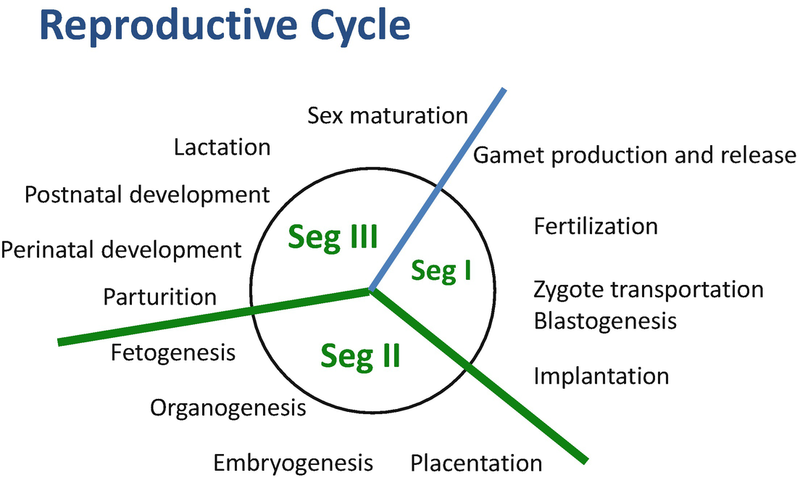 All stages of development from conception to maturity and the detection of acute and delayed effects of exposure through one complete life cycle should be examined. The standard species are rodents; rats as the preferred rodent species for all study types. The rabbit is the second non-rodent species for the embryo-fetal toxicity studies. The introduction of the rabbit as a sensitive and predictive model is due to the thalidomide (Contergan) catastrophe in the 1960s, when 10.000 of babies were born with a range of severe and debilitating malformations after their mothers had been exposed to this teratogen to treat their morning sickness (Vargesson 2015). In some rare cases, mice, monkeys, or Goettingen minipigs (Bode et al. 2010) are used too, if special conditions – usually kinetic data – justify such species. The guideline S5 (R) should be read in conjunction with the multidisciplinary ICH guideline M3, which was first introduced in 1997 and then revised several times until its current version from June 11, 2009. In this M3 (R), the different conditions are illustrated which have to be fulfilled before men, women of childbearing potential, pregnant women, or children are included into clinical trials. It is interesting that men and women not of childbearing potential can be included into clinical trials without any experimental fertility studies because it is considered that the histopathological assessments of the gonads recovered from repeat dose toxicity studies provide sufficient insight into any possible disturbances of, e.g., the spermatogenesis. Our ICH collaborating Japanese colleagues contributed to this conclusion convincingly, literature examples are Kishi et al. (1995), Takayama et al. (1995), or Sakai et al. (2000). In future, it is to expect that in vitro methods may facilitate early discovery of reproductive risks, whole body cultures, or stem cell investigations that help to validate these procedures. Another aspect will continue to expand scientific approaches but combined with political impact to give women of childbearing potential the same early access to new medicines. ICH guideline S6 outlines the development of products which have been created by using biotechnology techniques. These compounds have been synthesized in living systems (cell cultures, virus, bacteria, and transgenic animals). These drugs are special also in regard to their size; in general they are >30 kDa, up to 800 kDa, which limits their distribution within the body or penetration into cells and organelles. This guidance is applicable for compounds such as recombinant DNA proteins, vaccines, peptides, plasma-derived products, endogenous proteins extracted from human tissues, oligonucleotide drugs, etc., while heparin, vitamins, and cellular blood components, for example, are not covered. These bio-products are generally administered parenterally (subcutaneous, intramuscular, or intravenous application) and then submitted to catabolism and degradation leading to small peptides and nontoxic amino acids. This explains why studies of metabolism and excretion are generally not required. An important characteristic is further their kinetics; their half-life is usually days to weeks with a limited distribution to plasma. When efficacy is long, then not surprisingly, there are long recovery periods to be expected. In general, for biotech products high flexibility for the developmental scheme is recommended and should be reconsidered on a case-by-case basis. Usually, as in other toxicity studies, two species should be used, but when the biological activity is well understood or when in short-term toxicity studies the effects were similar in both species, then longer-term studies could be run only with one species. In any case, a justification that tests are conducted with a relevant species (predictive for humans) is needed. This means using a species in which the test material is pharmacologically active due to the expression of the receptor or an epitope (in case of monoclonal antibodies). When no relevant species can be identified, one should consider the use of homologous proteins or transgenic animals. With regard to safety pharmacology, testing of the vital function such as cardiovascular, respiratory, and CNS functions is recommended, but S6 also mentions renal function, which, from today’s perspective, would not be necessary before first administration of a compound in humans if there is no specific concern. Some information on absorption, disposition, and clearance in the animal models are desirable before clinical trials; systemic exposure of the compound should be monitored as well as the appearance of antibodies and their ability to neutralize the intended effect. On the other hand, appearance of antibodies in animals when treated with human proteins is not predictive for clinical conditions. Nevertheless, immune responses could alter the pharmacokinetic or pharmacodynamic effects. Anaphylactic responses tested in the guinea pig, at any rate, are not predictive for humans and therefore not necessary. The same holds true for the standard testing batteries for immunotoxicity; these are not recommended. Studies with duration between 2 weeks and 3 months are often sufficient, and it is only with chronic use in humans that 6-month studies should be considered. Flexibility may allow further reduction of the traditional testing program for the reproductive endpoints. Such studies may not be necessary if a new compound, related to well-known compounds, shows similar effects. In addition, there are profound differences in maternofetal transfer of immunoglobulins between species with extensive gestational transfer of maternal immunoglobulins in primates (including humans) via the chorioallantoic placenta as well as in rabbits and guinea pigs via the inverted yolk sac splanchnopleure. In contrast, other neonatal rodents (rats and mice) receive passive immunity predominantly postnatally. This transfer is mediated principally via FcRn receptors. Therapeutic monoclonal antibodies (mAbs) are most commonly of the IgG1 subclass, which is transported most efficiently to the fetus. In all animal species used for testing developmental toxicity, fetal exposure to IgG is very low during organogenesis, but this increases during the latter half of gestation (when there is only growth of the organs) such that the neonate is born with an IgG1 concentration similar to the mother (but not rats and mice). Review of mAb developmental toxicity studies of licensed products reveals that cynomolgus monkey is the species used in the majority of the cases (10 out of 15). Pregnancy outcome data from women gestationally exposed to mAb is limited. In general, the findings are consistent with the expected low exposure during organogenesis. Guinea pigs and rabbits are potential candidates as “alternatives” to the use of nonhuman primates as the maternofetal transfer in the last part of gestation is at a level similar in humans. Based on the pattern of placental transfer of IgG in humans, study designs that allow detection of both the indirect effects in early gestation plus the effects of direct fetal exposure in mid and late gestation are recommended for developmental toxicity of mAbs (Pentsuk and van der Laan, 2009). The risk of genotoxicity also reveals an exception: The standard studies are not appropriate; DNA damage is not expected, but testing on a case-by-case basis of impurities or promoter studies might be helpful. Long-term carcinogenicity studies are usually not appropriate, but when there is cause for concern, studies with a single rodent species are sufficient. Cause for concern may have arisen in general toxicity studies or when a stimulation of the growth of normal as well as malignant cells can be assumed. For biotechnology-derived compounds, always a high flexibility has been asked for. The main principle was the case-by-case strategies, developers, and agencies contributing their knowledge to improve the predictive value for extrapolating to humans and patients. The guideline was first published in 1997, but the accumulation of collective observations and experience caused permanent discussions and justified revisions until the recent S6 R in June 2011. Within the biotechnology-derived compounds, the monoclonal drugs play a major role. Here clinical experience has shown that more care for patients is needed especially when the first dose is administered in humans, mostly volunteers. The use of the minimum anticipated biological effect level (MABEL) for selection of first human dose in clinical trials with monoclonal antibodies (Fig. 8) is offered. Muller et al. (2009) report the selection and strategies. 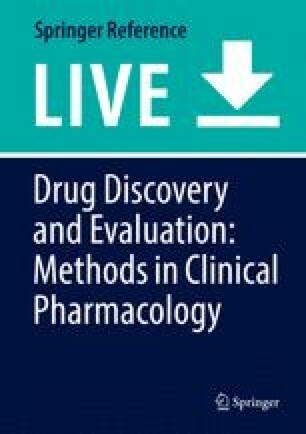 The authors plead that the dose selection for first-in-human (FIH) clinical trials with monoclonal antibodies (mAbs) is based on specifically designed preclinical pharmacology and toxicology studies, mechanistic ex vivo/in vitro investigations with human and animal cells, and pharmacokinetic/pharmacodynamic (PK/PD) modeling approaches and requires a thorough understanding of the biology of the target and the relative binding and pharmacological activity of the mAb in animals and humans. The authors highlight the scientific and regulatory challenges and the intensive care for enrolled humans when estimating the minimal anticipated biological effect level (MABEL). The EMA supports these prudent strategies with their recommendations in the Guideline on strategies to identify and mitigate risks for first-in-human and early clinical trials with investigational medicinal products (February 2018). S7A was implemented in 2001 and the S7B reached Step 4 in June 2005 and has been implemented in 2006. 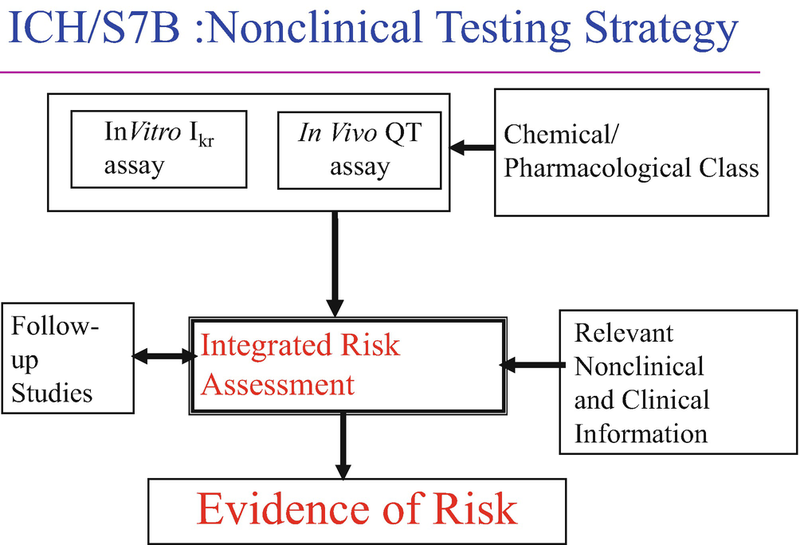 S7A informs in general about the requirements necessary for testing the vital functions usually in single-dose studies in safety pharmacology. S7A differentiates between three types of studies: core battery, follow-up, and supplemental studies. 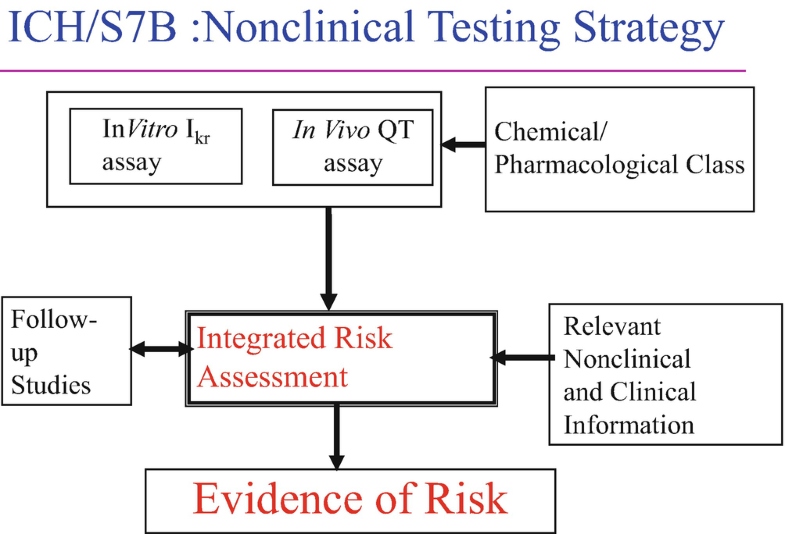 The core battery of tests/S7A consists of an investigation of the effects of a test substance on vital functions: central nervous system, cardiovascular system, respiratory system, and other systems as appropriate. The exclusion of a system or function should be justified. Supplemental studies: they evaluate effects of the test substance on systems not addressed by the core battery when there is cause for concern not addressed elsewhere (e.g., in toxicology). S7A expresses very clearly when (Table 15) such studies should be available and what conditions should be considered in regard to good laboratory procedures. Special focus is given to the cardiovascular system. For the core battery of the cardiovascular system according to S7A blood pressure, heart rate, and electrocardiogram should be assessed, but also in vivo, in vitro, and/or ex vivo evaluations, including methods for repolarization and conductance abnormalities, should be considered. This text was finalized at a time when the details of S7B were not yet outlined. During recent years there has been an increase of regulatory concern. The awareness that non-cardioactive drugs (used for sometimes non-life-threatening diseases) can cause QT prolongation, and serious dysrhythmias such as torsades de pointes (TdP) was intensified. A greater number of compounds became known to be associated with QT prolongation and the potential to cause torsades de pointes (severe arrhythmias). Accordingly, the ICH Expert Working Group for S7B was created to work on this specific concern. The QT interval (time from the beginning of the QRS complex to the end of the T wave) of the electrocardiogram (ECG) is a measure of the duration of ventricular depolarization and repolarization. QT interval prolongation can be congenital or acquired (e.g., pharmaceutical-induced). When the QT interval is prolonged, there is an increased risk of ventricular tachyarrhythmia, including torsade de pointes (TdP), particularly when combined with other risk factors (e.g., hypokalemia, structural heart disease, bradycardia), see Fig. 1. For this important issue, a complex strategy was set up in the ICH guideline S7B (Fig. 9). The basis for integrated risk assessment is in vitro and in vivo assays, supported by any knowledge about the chemical/pharmaceutical class. This first risk assessment may later be modified when results from follow-up studies or relevant nonclinical or clinical information becomes available. The evidence of risk summarizes the preclinical evaluation of the proarrhythmic potential as essential information for clinicians. Parallel to the development of S7B, a clinical guideline (ICH/E14) was drafted and reached Step 4, also in 2005. During the discussion between these two expert groups, the question was raised again and again, if toxicologists could exclude any risk for QT prolongation for humans in their testing strategies. The answer is: they cannot. Preclinical researchers and clinical developers identify hazards and assess the definitive risk (the probability that an adverse effect may be induced), but a prediction for the individual patient is not possible. There is extrapolation from animal to man, from volunteers to patients under defined conditions, and from these to patients under daily living and health conditions, but all these data do not have the power to exclude risks for future patient generations as can be seen by the fact that post-marketing authorization withdrawals can happen due to severe side effects. Conduct of S7B nonclinical studies assessing the risk for delayed ventricular repolarization and QT interval prolongation prior to first administration in humans should be considered. These results, as part of an integrated risk assessment, can support the planning and interpretation of subsequent clinical studies. The term “should be considered” allows flexibility either to do the studies before first time in humans or at a later stage of development. In practice, these studies are most often available before IND, because one wants to cope with this issue in time and wants to provide best safety to volunteers and patients. S7B proposes a series of nonclinical tests which are believed to predict the likelihood that a compound will prolong cardiac repolarization in vivo, in animals and in humans. These data currently seem to have limited impact on the clinical development proposals contained in the draft E14 guideline now. The ICH E14 Expert Working Group was not convinced that the preclinical in vitro and in vivo study results would predict the clinical cardiovascular tolerance. Under the auspices of the International Life Science Institute (ILSI)-Health and Environmental Sciences Institute (HESI), a consortium involving representatives from pharmaceutical companies, regulatory agencies, and opinion leaders from the scientific and medical research communities has been initiated (Trepakova et al. 2009). At present, the consortium is conducting a retrospective analysis of nonclinical and clinical data from both FDA and contributing companies’ databases and supplementing with a literature review. The overall objectives of these efforts are to establish a quantitative integrated risk assessment for each compound, to define criteria for concordance, and to apply them to the database in order to identify non-concordant compounds. Drug-induced immune dysfunction can induce increased susceptibility to infections, hypersensitivity reactions (immunological sensitization due to a drug and/or its metabolites), autoimmunity (immune reactions to self-antigens), or finally the development of tumors, but the present status of S8 is restricted to unintended immunosuppression and immunoenhancement, excluding allergenicity or drug-specific autoimmunity. The missing elements may be resolved in future revisions. The guideline applies to new pharmaceuticals intended for use in humans, as well as to marketed drug products proposed for different indications or other variations on the current product label. The guideline does not apply to biotechnology-derived pharmaceutical products covered by ICH S6. Drugs intended to modulate immune function for therapeutic purposes (e.g., to prevent organ transplant rejection), here adverse immunosuppression can be considered as exaggerated pharmacodynamics. Drugs not intended to affect immune function but cause immunotoxicity due to, e.g., necrosis or apoptosis of immune cells or interaction with cellular receptors shared by both target tissues and nontarget immune system cells. Methods include (Table 16) standard toxicity studies (STS) and additional immunotoxicity studies conducted as appropriate. Whether additional immunotoxicity studies are necessary should be determined by a weight-of- evidence review of cause(s) for concern. Illustrations of the thinking behind the guidances of the European proposals first as a forerunner of the final ICH S8 are publications like van der Laan et al. (1997) or in 2000 Putman et al. : Assessment of immunotoxic potential of human pharmaceuticals; Drug Info J 36: 417–427. Table 16 illustrates the options and Fig. 10 the decision tree for the tests procedure. Doses which produce these changes in relation to doses which produce other toxicities and reversibility of effect(s). If the pharmacological properties of a test compound indicate it has the potential to affect immune function (e.g., anti-inflammatory drugs). 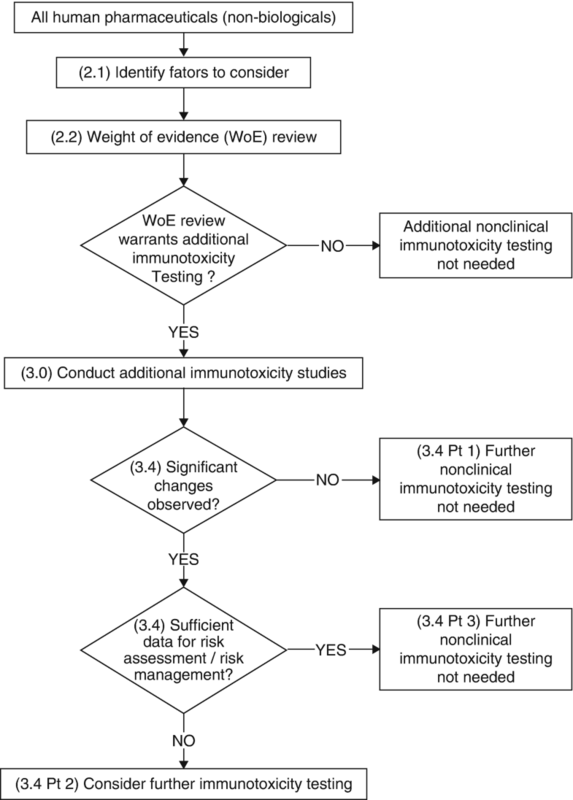 More in detail: If the weight-of-evidence review indicates that additional immunotoxicity studies are needed, there are a number of assays which can be used (Fig. 10). It is recommended that an immune function study be conducted, such as a T-cell-dependent antibody response (TDAR). If specific cell types are affected in STS not involving cells participating in a TDAR, assays that measure function of that specific cell type might be conducted. Immunophenotyping of leukocyte populations, a nonfunctional assay, may be conducted to identify the specific cell populations affected and may provide useful clinical biomarkers. Generally accepted are 28 consecutive daily doses in rodents. Adaptations of immunotoxicity assays have been described using non-rodent species. The species, strain, dose, duration, and route of administration used in immune function assays should be consistent with the nonclinical toxicology study in which an adverse immune effect was observed. Usually both sexes should be used in these studies, excluding nonhuman primates. The high dose should be above the no observed adverse effect level (NOAEL) but below a level inducing changes secondary to stress. Multiple dose levels are recommended in order to determine dose-response relationships and the dose at which no immunotoxicity is observed. If no risk of immunotoxicity can be detected, then no further testing is needed. If a risk of immunotoxicity is identified, additional testing may offer precision for the risk-benefit decision. Should the risk of immunotoxicity be considered as acceptable and/or can be addressed in a risk management plan (see ICH E2E), then no further testing in animals might be called for. Any additional immunotoxicity studies should be completed before exposure of a large population of patients, usually Phase III. If the target patient population is immunocompromised, immunotoxicity testing can be initiated at an earlier time point in the development of the drug. The TDAR is administered to rats a week before the end of a 4-week repeat dose study recognized T-cell-dependent antigens (e.g., sheep red blood cells, SRBC or keyhole limpet hemocyanin, KLH), leading to a robust antibody response. Use antigens for immunization without adjuvants, (Alum acceptable for nonhuman primate studies). Antibody measurement is done via ELISA or other immunoassay methods (samples can be collected serially during the study). Immunophenotyping (lymphocyte subsets) differentiates T- and B-lymphocytes and subtypes. Their maturation and functions are in bone marrow for B-lymphocytes and NK cells and in thymus for T-lymphocytes with subsequent differentiation in cytotoxic (Tc) or T-helper (Th) cells. The cytotoxic T cells are cytotoxic to virus-infected cells; they form CD 8 positive cells as memory cells. The T-helper cells fortify defense mechanisms, secrete IL-2, IFN, and TNF, and form CD4 pos. cells. Natural killer cells mature as lymphoid precursors in bone marrow. They show fast reactions during defense mechanisms and are therefore the first line of defense, e.g., for virus or tumors. They are cytotoxic when glycoproteins are recognized on cell membranes, but with identification of MHC-class 1, molecules on the surface of healthy cells show immediate activation of killing inhibitory receptors. All NK cell assays are ex vivo assays in which tissues (e.g., spleen) or blood are obtained from animals that have been treated with the test compound. Cell preparations are coincubated with target cells that have been labeled with 51Cr. New methods that involve nonradioactive labels can be used if adequately validated. Host resistance studies involve challenging groups of mice or rats treated with different doses of test compound with varying concentrations of a pathogen (bacteria, fungal, viral, parasitic) or tumor cells. Infectivity of the pathogens or tumor burden observed in vehicle versus test compound treated animals is used to determine if the test compound is able to alter host resistance. Host resistance assays involve innate immune mechanisms, for which specific immune function assays have not been developed. Careful observation of the direct or indirect (nonimmune mediated) effects of the test compound on the growth and pathogenicity of the organism or tumor cell is needed, e.g., compounds that inhibit the proliferation of certain tumor cells can increase host resistance. Macrophages living for several months have a strong affinity to inflammatory locations and are powerful in phagocytosis, cytotoxicity, and secretion of mediators. Localized macrophages are, e.g., alveolar macrophages, Kupffer cells in the liver, sessile macrophages in the spleen, and osteoclasts in bones. They phagocyte bacteria, fungus, parasites, damaged cells, old erythrocytes, immune complexes, they are cytotoxic to tumor cells, virus-infected cells, transplanted cells, and secrete enzymes, cytokines, prostaglandins, etc. Accordingly, their part in immunoregulation is the antigen production, cytokines, and unspecific immunosuppression. Assays to measure cell-mediated immunity have not been as well established as those used for the antibody response. They are in vivo assays where antigens are used for sensitization. The endpoint is the ability of drugs to modulate the response to challenge. Examples are delayed-type hypersensitivity (DTH) reactions with protein immunization and challenge reported for mice and rats. This new ICH guideline S8 replaces all guidances from the EU, USA, and Japan. It represents a very pragmatic approach and uses studies, e.g., standard toxicity studies, which are conducted anyhow. There is great confidence in the prediction of these assays for any potential of new compounds to induce immune suppression or immune stimulation. This guideline helps to reduce the number of animals and requires additional studies only in special cases for concern. This guideline was endorsed by ICH Steering Committee in May 2007. It had been observed that separate regional oncology guidances were in development. All experts realized that malignant tumors are life-threatening, death rate from diseases is high, and existing therapies have limited effectiveness. This explains the need to provide new effective anticancer pharmaceuticals to patients more expeditiously. The question was if this group of indications may allow higher flexibility in the design and timing of nonclinical studies for anticancer pharmaceuticals. A working group was established delivering answers to questions like which nonclinical studies to support the development of anticancer pharmaceuticals in patients with advanced disease and limited therapeutic options are really needed? Does one sufficiently understand the toxicological profile of a pharmaceutical, e.g., identification of the target organs, exposure-response relationship, and reversibility in regard to the fact that with anticancer pharmaceuticals, the clinical dose level is often close to or at an adverse effect level? How could one nevertheless protect patients from unnecessary adverse effects and at the same time avoid unnecessary use of animals in accordance with the 3 R principles (reduce/refine/replace)? As all indications, the discipline of pharmacology/pharmacodynamics needs to deliver the nonclinical proof of principle, what is the preliminary characterization, what are the underlying mechanism(s) of action, how does the drug exert its antitumor activity, which schedule dependence is needed, and, if necessary, which combinations can be justified? The discipline of safety pharmacology is requested to identify any acute risks of the vital organ functions. Are the cardiovascular, respiratory, and central nervous systems not disturbed? This answer must be given before the initiation of clinical studies and based either on stand-alone safety pharmacology studies or study part included into general toxicology studies. How could specific concerns be managed? In the absence of a specific risk, such studies will not be called for to support clinical trials or for marketing. Kinetics: limited pharmacokinetic parameters (e.g., Cmax in plasma/serum, AUC, and half-life) in the animal species used for nonclinical studies can facilitate dose selection, schedule, and escalation during Phase I studies. Further information (ADME) can be generated in parallel with clinical studies. General toxicity: the identification of a NOEL/NOAEL is not essential. Small molecules should be usually conducted in both rodent and non-rodent, with the exception for genotoxic drugs targeting rapidly dividing cells; here one rodent species might be considered sufficient. For biopharmaceuticals, see ICH S6. Important is the issue of reversibility: severe toxicity at approximate clinical exposure and recovery cannot be predicted by scientific assessment, but the demonstration of complete recovery is not considered essential. 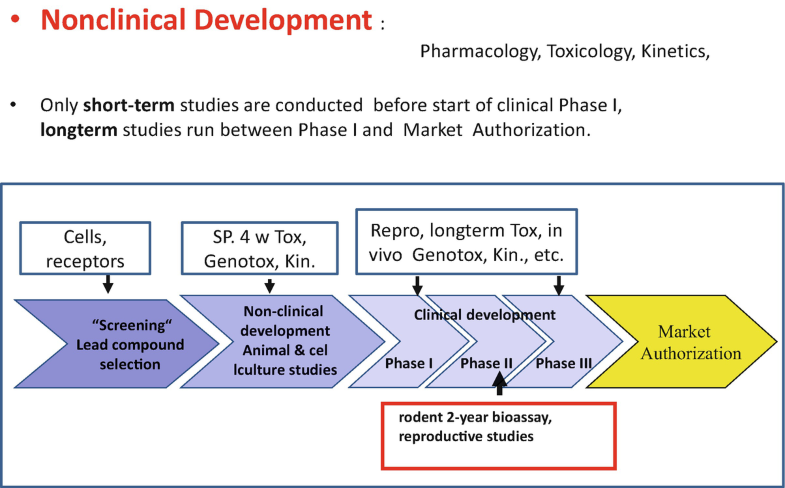 Reproductive toxicity: Embryo-fetal toxicity studies of anticancer pharmaceuticals should be available for marketing with the exception if they target rapidly dividing cells in general toxicity studies or belong to a class which has been well characterized in causing developmental toxicity. If a pharmaceutical is positive for embryo-fetal lethality or is teratogenic, a confirmatory study in a second species is usually not warranted. For biopharmaceuticals, the assessment might be done by evaluating the toxicity during the period of organogenesis or study designs as described by ICH S6. Alternative approaches might be considered appropriate if scientifically justified. The alternative approaches might include a literature assessment, assessment of placental transfer, the direct or indirect effects of the biopharmaceutical, or other factors. A fertility study is generally not warranted to support the treatment of patients with advanced cancer. Information available from general toxicology studies on reproductive organs should be incorporated into the assessment of reproductive toxicology. A peri- and postnatal toxicology study is generally not warranted to support the treatment of patients with advance cancer. Genotoxicity: Studies should be performed to support marketing. The principles outlined in ICH S6 should be followed for biopharmaceuticals. If the in vitro assays are positive, an in vivo assay might not be warranted. Carcinogenicity: Studies are usually not warranted based on the underlying disease. Immunotoxicology: General toxicology studies are considered sufficient to evaluate the immunotoxicological potential. Photosafety studies: Initial assessment of phototoxic potential should be conducted prior to Phase I. Photochemical properties of the drug and information on other members in the class should be assessed. If assessment of these data indicates a potential risk, appropriate protective measures should be taken during outpatient trials. If the photosafety risk cannot be adequately evaluated based on nonclinical data or clinical experience, a photosafety assessment consistent with the principles described in ICH M3 should be provided prior to marketing. 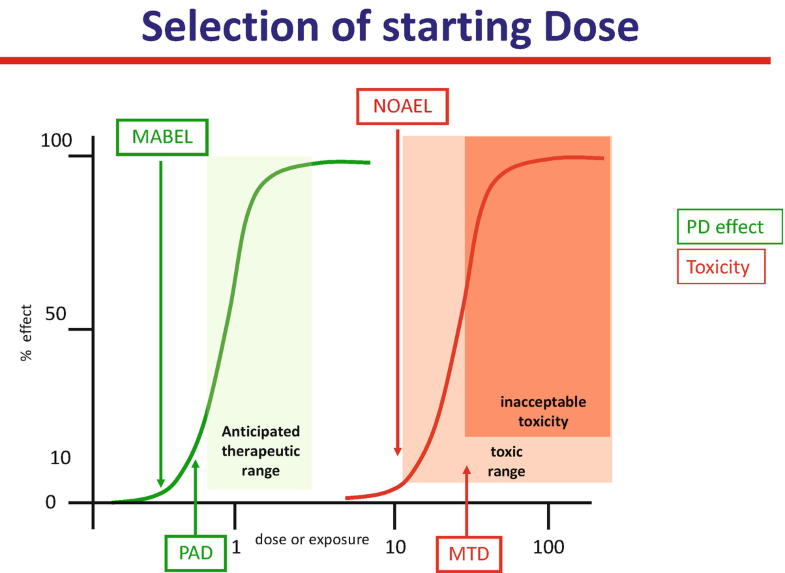 Setting the starting dose: Pharmacologically active dose should be reasonably safe to use. Start dose should be scientifically justified using all available nonclinical data (e.g., pharmacokinetics, pharmacodynamics, toxicity). Interspecies scaling usually based on normalization to body surface area. Interspecies scaling based on body weight, AUC, or other exposure parameters might be appropriate. The FDA is offering good advice and help for calculations in their Guidance for Industry: Estimating the maximum safe starting dose in initial clinical trials for Therapeutics in adult healthy volunteers (CDER July 2005). Here conversions on animal doses to human equivalent doses based on body surface area are tabled. During clinical trials: Highest clinical dose is not limited by nonclinical data. In Phase I, treatment dose depends on the patient’s response. No new toxicology study is called for to support continued treatment beyond duration of the toxicology studies. Examples of duration and schedule of toxicology studies to support initial clinical trials are provided. In cases where the available toxicology information does not support a change in clinical schedules, an additional toxicology study in a single species is usually sufficient. The highest clinical dose is not limited by nonclinical data. Beyond Phase I, the pharmaceutical development could continue with the delivery of results from repeat dose studies of 3 months prior the initiation of phase III studies. This maximal duration would for most pharmaceuticals be considered sufficient to support marketing. This is a first-in-human clinical trial conducted under an exploratory IND that has no therapeutic or diagnostic intent and involves very limited human exposure. The results of such a Phase 0 trial can provide essential pharmacodynamic, pharmacokinetic, and/or imaging data at the initial stage of the clinical trials process to inform and expedite the subsequent development of promising new agents. The results of the first “Phase 0” clinical trial in oncology of a therapeutic agent under the Exploratory Investigational New Drug Guidance of the US FDA have recently been reported and considered to be a successful and expeditious new paradigm for early therapeutics development in oncology, but according to Kummar et al. (2009), several additional phase 0 trials will need to be completed under the Exploratory IND Guidance, before phase 0 trials will be considered to have an established role in the anticancer drug development process. Nevertheless, the US Food and Drug Administration’s new regulatory policy has provided an important and timely opportunity to expeditiously conduct and complete novel, proof-of-principle clinical trials of molecularly targeted therapeutic and imaging agents. The potential for a major impact of phase 0 trials and the exploratory IND on developing new anticancer drugs provides a strong stimulus for the broader uptake and enhanced application of carefully conceived, pharmacodynamically driven early-phase clinical trials in oncology. In Summary (Table 18), one can conclude that this new guideline ICH S9 facilitates and speeds up the development of new oncology compounds, since there is no need for 6-/9-month studies, no need for fertility and peri- and postnatal studies, only one embryo-fetal study if a positive reaction is observed, no in vivo micronucleus test if in vitro genotoxicity assays are positive, safety pharmacology assessments that could be conducted within the general toxicology studies, no need for non-rodent studies for initiation of clinical trials with cytotoxic drugs, and no or limited studies to be conducted in late-stage development. All restrictions help to conserve resources and reduce animal use. The ICH S10 guideline on photosafety evaluation reached Step 4 of the ICH Process in November 2013 and has entered the implementation period (Step 5) between 2014 and 2016 in the different areas. Forerunners of this global guideline were the EMA guideline (European Agency for the Evaluation of Medicinal Products), note for guidance on photosafety testing. Committee for Proprietary Medicinal Products from June 27, 2002. CPMP /SWP/ 398 /01 and the Guidance on photosafety testing, from May 2003. US Department of Health and Human Services Food and Drug Administration (CDER) (Fig. 11). The multidisciplinary guideline ICH M3(R2) recommends that an initial assessment of phototoxicity potential be conducted before exposure of large numbers of subjects (Phase 3). This safety evaluation is especially important for compounds with known phototoxic risk, like antibiotics or oncology products. However, neither ICH M3(R2) nor ICH S9 provide specific information regarding testing strategies. Here ICH S10 guideline outlines when photosafety testing is warranted and which possible assessment strategies can be recommended. This guideline should hereby reduce the likelihood that substantial differences in recommendations for photosafety assessment will exist among regions. S10 generally applies to new active pharmaceutical ingredients (APIs), new excipients, clinical formulations for dermal application (including dermal patches), and photodynamic therapy products but excludes peptides, proteins, antibody drug conjugates, or oligonucleotides. Photosensitization is a general term occasionally used to describe all light-induced tissue reactions. However, in order to clearly distinguish between photoallergy and phototoxicity, the term photosensitization is not used in this guideline. Absorbs light within the range of natural sunlight (290–700 nm). Generates a reactive species following absorption of UV-visible light. Distributes sufficiently to light-exposed tissues (e.g., skin, eye). If one or more of these conditions is not met, a compound will usually not present a concern for direct phototoxicity. Photochemical properties: The first question when assessing the photoreactive potential is whether a compound absorbs photons at any wavelength between 290 and 700 nm. A compound that does not have a molar extinction coefficient (MEC) greater than 1000 L mol-1 cm-1 at any wavelength between 290 and 700 nm (Bauer et al. 2014) is not considered to be sufficiently photoreactive and therefore able to induce direct phototoxicity. Excitation of molecules by light can lead to generate reactive oxygen species (ROS), including superoxide anion and singlet oxygen via energy transfer mechanisms. Thus, ROS generation following irradiation with UV-visible light can be an indicator of phototoxicity potential. Photostability testing (EMA/CHMP/ICH/536328/2013 2016a) can also suggest the potential for photoreactivity, but photostability testing alone should not be used to determine whether further photosafety evaluation is warranted. Tissue distribution: The concentration of a photoreactive chemical in tissue at the time of light exposure is a very important pharmacokinetic parameter in determining whether a phototoxic reaction will occur. This concentration depends on a variety of factors, such as plasma concentration, perfusion of the tissue, partitioning from vascular to interstitial and cellular compartments, and binding, retention, and accumulation of the chemical in the tissue. The duration of exposure depends upon clearance rates as reflected by half lives in plasma and tissue. Further, the longer the concentration of a compound is maintained at a level above that critical for a photochemical reaction, the longer a person is at risk for phototoxicity. Although a tissue concentration threshold below which the risk for phototoxic reactions would be negligible is scientifically plausible, there are currently no data to delineate such generic thresholds for all compounds. Risks are considered low when a drug shows an overall very low exposure or has a very short plasma half-life or tissue residence. On the other hand, compound binding to tissue components (e.g., melanin, keratin) can explain tissue retention and/or accumulation, but such binding alone does not present a photosafety concern. A single-dose tissue distribution study, with animals assessed at multiple time points after dosing, will generally provide an adequate assessment of relative tissue to plasma concentration ratios, tissue residence time, and the potential for retention and accumulation. Nonclinical photosafety tests: Generally, it is most important that nonclinical photosafety assays show high sensitivity resulting in a low frequency of false negatives (i.e., a high negative predictive value). This is because negative assay results usually do not warrant further photosafety evaluation. Natural sunlight represents the broadest range of light exposure that humans might be exposed to regularly. However, sunlight per se is not well defined. Suitability of a sunlight simulator light source should be well defined. In nonclinical phototoxicity assays, however, the amount of UVB should not limit the overall irradiation and might be attenuated (partially filtered) so that relevant UVA doses can be tested without reducing assay sensitivity. Penetration of UVB light into human skin is mainly limited to the epidermis, while UVA can reach capillary blood. Therefore, clinical relevance of photochemical activation by UVB is considered less important than activation by UVA for systemic drugs. However, UVB irradiation is relevant for topical formulations applied to light-exposed tissues. High sensitivity for predicting direct in vivo phototoxicants, but low specificity, generating a high percentage of false-positive result. The most widely used in vitro assay for phototoxicity is the three T3 neutral red uptake phototoxicity test (3 T3 NRU-PT). Phototoxicity testing for systemically administered compounds has been conducted in a variety of species, including guinea pig, mouse, and rat. No standardized study design has been established. For 3T3 NRU-PT, the Organisation for Economic Co-operation and Development (OECD) guideline (EMA/CHMP/ICH/536328/2013 2016b) is available. This is currently considered the most appropriate in vitro screen for soluble compounds. The sensitivity of the 3T3 NRU-PT is high, and if a compound is negative in this assay, it would have a very low probability of being phototoxic in humans. However, a positive result in the 3T3 NRU-PT should not be regarded as indicative of a likely clinical phototoxic risk, but rather a flag for follow-up assessment. There are no in vitro models that specifically assess ocular phototoxicity, regardless of the route of administration. While negative results in the 3T3 NRU-PT or a reconstructed human skin assay might suggest a low risk, the predictive value of these assays for ocular phototoxicity is unknown. The most sensitive early signs of compound-induced phototoxicity are usually erythema followed by edema at a normally sub-erythemogenic irradiation dose. The type of response might vary with the compound. Any identified phototoxicity reaction should be evaluated regarding dose and time dependency, and, if possible, the no-observed-adverse-effect level (NOAEL) should be established. The hazard identification might be further supported by additional endpoints (e.g., early inflammatory markers in skin or lymph node reactions indicative of acute irritation). If a phototoxicity study is conducted in animals for a systemic drug that absorbs light above 400 nm, phototoxicity of the retina should be assessed using a detailed histopathological evaluation. For compounds that only absorb light below 400 nm, retinal assessment is usually not warranted because such wavelengths do not reach the retina of the adult human eye due to limited penetration of the cornea, lens, and vitreous body. Testing for photoallergy is not recommended for compounds that are administered systemically. Photoallergy reactions in humans following systemic administration are rare, and there are no established nonclinical photoallergy assays for systemically administered compounds. For dermal drug products in general, the clinical formulation should be tested. The intended clinical conditions of administration should be used to the extent possible. Irradiation of the exposed area should take place at a specified time after application, and the interval between application and irradiation should be justified based on the specific properties of the formulation to be tested. For dermal drug products, contact photoallergy has often been assessed in a nonclinical study along with acute phototoxicity (photoirritation). However, no formal validation of such assays has been performed. While the acute photoirritation observed in these studies is considered relevant to humans, the predictivity of these studies for human photoallergy is unknown. For regulatory purposes, such nonclinical photoallergy testing is generally not recommended. Assessment strategies: The choice of the photosafety assessment strategy is up to the drug developer. ICH M3(R2) suggests that an initial assessment of the phototoxicity potential based on photosafety evaluation of pharmaceuticals, photochemical properties, and pharmacological/chemical class be undertaken before outpatient studies. Characterization of the UV-visible absorption spectrum is recommended as the initial assessment because it can obviate any further photosafety evaluation. In addition, the distribution to the skin and eye can be evaluated to inform further on the human risk and the recommendations for further testing. Then, if appropriate, an experimental evaluation of phototoxicity potential (in vitro or in vivo, or clinical) should be undertaken before exposure of large numbers of subjects (Phase 3). 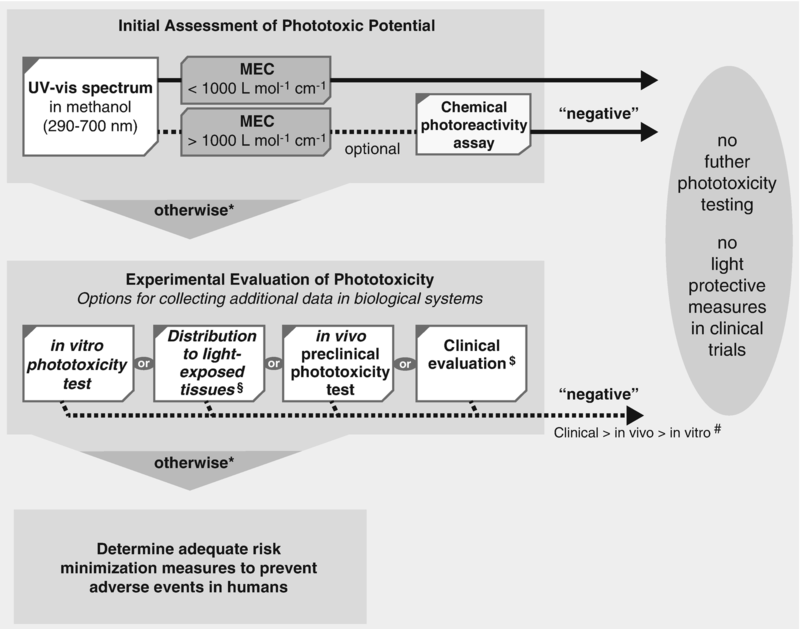 Figure 11 provides an outline of possible phototoxicity assessment strategies. The figure is based on the strategies outlined in this section of this document. The strategies are flexible. Depending on the particular situation, some portions of the assessment are optional and might not be conducted. If the substance does not have a MEC greater than 1000 L mol-1 cm-1 (between 290 and 700 nm), no photosafety testing is recommended and no direct phototoxicity is anticipated in humans. For compounds with MEC values of 1000 L mol-1 cm-1 or higher, if the drug developer chooses to conduct a test for photoreactivity, a negative result could support a decision that no further photosafety assessment is warranted. The in vitro approach with the 3T3 NRU-PT is currently the most widely used assay and in many cases could be considered as an initial test for phototoxicity. The high sensitivity of the 3T3 NRU-PT results in good negative predictivity, and negative results are generally accepted as sufficient evidence that a substance is not phototoxic. In such cases no further testing is recommended and no direct phototoxicity is anticipated in humans. If an in vitro phototoxicity assay gives a positive result, a phototoxicity study in animals could be conducted to assess whether the potential phototoxicity identified in vitro correlates with a response in vivo. Alternatively, drug distribution data could, on a case-by-case basis, support a position that the risk of phototoxicity in vivo is very low and that no further photosafety assessment is warranted. As another option, the photosafety risk could be assessed in the clinical setting or managed by the use of light-protective measures. A negative result in an appropriately conducted phototoxicity study either in animals or humans supersedes a positive in vitro result. In such cases no further testing is recommended and no direct phototoxicity is anticipated in humans. In all cases a robust clinical phototoxicity assessment indicating no concern supersedes any positive nonclinical results. If the active substance and excipients do not have MEC values greater than 1000 L mol-1 cm-1 (between 290 and 700 nm), no further photosafety testing is recommended and no phototoxicity is anticipated in humans. Molar extinction coefficient (MEC) (also called molar absorptivity) reflects the efficiency with which a molecule can absorb a photon at a particular wavelength (typically expressed as L mol-1 cm-1) and is influenced by several factors, such as solvent. For compounds with MEC values of 1000 L mol-1 cm-1 or higher, negative photoreactivity test results (e.g., a ROS assay) (reactive oxygen species, including superoxide anion and singlet oxygen) can support a decision that no further photosafety assessment is warranted. The 3T3 NRU-PT can be used to assess individually the phototoxicity potential of the API and any new excipient(s), provided that appropriate testing conditions can be achieved (e.g., test concentrations not limited by poor solubility, relevant UVB dose can be applied). In cases where no phototoxic component has been identified in vitro, the overall phototoxicity potential of the clinical formulation can be regarded as low. Reconstructed human skin models can be used to assess the phototoxicity potential of clinical formulations. Under adequate test conditions, a negative result in a reconstructed human skin assay indicates that the direct phototoxicity potential of the formulation can be regarded as low. In this case, generally no further phototoxicity testing is recommended. As the predictivity of nonclinical photoallergy tests is unknown, this would typically be a clinical assessment using the to-be-marketed formulation and conducted during Phase 3. Photosafety evaluation of the clinical formulation delivered via dermal patches can follow the above-described principles for clinical dermal formulations. For transdermal patches, the principles for both dermal and systemic drugs should be applied. In addition, the intended clinical use (e.g., skin area recommended for use, duration of application) and the properties of the patch matrix (e.g., being opaque to UV and visible light) should be considered for the overall risk assessment. Testing for photogenotoxicity is not recommended as a part of the standard photosafety testing program. These tests are substantially oversensitive and even incidences of pseudo-photoclastogenicity have been reported (Lynch et al. 2008). Furthermore, the interpretation of photogenotoxicity data regarding its meaning for clinically relevant enhancement of UV-mediated skin cancer is unclear. A survey of pharmaceutical companies indicated that the 3T3 NRU-PT, as described in Organisation for Economic Co-operation and Development, Test Guideline (OECD TG) 432, generates a high percentage of positive results (approximately 50%), the majority of which do not correlate with phototoxicity responses in animals or humans (Lynch and Wilcox 2011). In the USA, for products applied dermally, a dedicated clinical trial for phototoxicity (photoirritation) on the to-be-marketed formulation (API plus all excipients) can be warranted in support of product approval. This topic was endorsed by the ICH Steering Committee in November 2014 and is in 2018 still in ICH Step 1 (the consensus building process of ICH). The S11 guideline will recommend standards for the conditions under which nonclinical juvenile animal testing is considered informative and necessary to support pediatric clinical trials. Clarification is necessary in regard to the need, study design, and/or timing of juvenile animal studies to support pediatric indications, since considerable differences exist within in the present regulatory guidelines from the ICH, EMA, FDA, and MHLW. The regional guidelines recommend a case-by-case approach for determining the need for a juvenile animal study after consideration of the available data (FDA 2006; EMA 2008; MHLW, 2012). The guideline may propose a modification of a repeat dose general toxicity study or a pre- and postnatal developmental toxicity study. The ICH M3(R2) guideline, which focuses on the need and, when warranted, the timing of juvenile animal studies, states, “The conduct of any juvenile animal toxicity studies should be considered only when previous animal data and human safety data, including effects from other drugs of the pharmacological class, are judged to be insufficient to support pediatric studies”. If a study is warranted, one relevant species, preferably rodent, is generally considered adequate. The expectation is that the inconsistencies in interpretation and application of the present different guidelines can be harmonized. These ICH recommendations or guidelines are the crosscutting topics; they do not fit uniquely into one of the quality, safety, and efficacy categories but usually request cooperations between several scientific disciplines. M3 as an example represents the contribution of safety and efficacy. Or M4 refers to all three categories. Additionally multidisciplinary guidelines includes the ICH medical terminology (MedDRA) and the development of Electronic Standards for the Transfer of Regulatory Information (ESTRI). The following list summons up all types of these guidelines; in detail M3 and M4 are handled. The development of a Medical Dictionary for Regulatory Activities was approved by the ICH Steering Committee in 1997 and the terminology launched in 1999. Further development of this topic followed over the years, all information about MedDRA and the points to consider documents developed for every MedDRA version are available on the MedDRA page under the work products. The concept paper was approved in 2016. This Expert Working Group (EWG) was established by the ICH Steering Committee in 1994. The objective was to facilitate international electronic communication by evaluating and recommending, open and nonproprietary – to the extent possible – Electronic Standards for the Transfer of Regulatory Information (ESTRI) that will meet the requirements of the pharmaceutical companies and regulatory authorities. The ICH Steering Committee modified in 2010 the mandate of the M2 EWG. Important changes included agreement that work related to the Electronic Common Technical Document (eCTD) be undertaken by a newly established M8 EWG and that the M2 EWG would no longer be directly involved in the development of technical solutions in relation to topics such as E2B(R3) and M5 but would instead provide the framework for the efficient and effective development of the solutions by groups dedicated to these topics. Under its new mandate, the M2 EWG continues to be responsible for the evaluation and recommendation of standards. In 2003, the ICH Steering Committee endorsed a concept paper for topic M5, and EWG develops since the requirements for the standardization of medicinal product identifiers and related terminology. In particular, a need was identified to harmonize product information that would facilitate the electronic exchange of Individual Case Safety Reports (ICSRs) within and across ICH regions using the ICH E2B format in post-marketing pharmacovigilance. In 2005, an M5 consensus draft guideline was published for public consultation at Step 2 of the ICH process. To support the electronic exchange of the M5 data elements proposed by the M5 EWG, technical messaging specifications were needed. Electronic messaging development for utilization by the ICH Parties had been the domain of the ICH M2 EWG, but in June 2006 the ICH Steering Committee took a key decision to develop electronic specifications in collaboration with Standards Development Organizations (SDOs). This would enable wider interoperability across regulatory and healthcare communities. The ICH Steering Committee endorsed this topic in 2009. Work by the Gene Therapy Discussion Group (GTDG) followed, a document “General Principles to Address Virus and Vector Shedding” became available. It was recognized that more extensive information to improve harmonization among the ICH regions was needed. In 2011 this topic was ceased following Steering Committee discussion that concluded due to the current state of science and related resource allocation would not allow this to be supported as a topic for harmonization. This guideline was finalized as a step 5 document in May 2017; it offers guidance on analysis of structure activity relationships (SAR) for genotoxicity. Furthermore, it is intended to resolve questions such as whether impurities with similar alerts that potentially have similar mechanism of action should not be combined in calculating a Threshold of Toxicological Concern (TTC) and whether the TTC may differ based on differences in the approved duration of use. To complement this ICH M7 guideline, an addendum was finalized in 2017 to summarize known mutagenic impurities commonly found or used in drug synthesis. The intent of this addendum is to provide useful information regarding the acceptable limits of known mutagenic impurities/carcinogenic and supporting monographs. In a maintenance process, work followed to define acceptable limits (acceptable intakes (AIs) or permitted daily exposures (PDEs)) for new DNA reactive (mutagenic) impurities and revising acceptable limits for impurities already listed in the addendum as new data becomes available. Data and/or proposals pertaining to the revision of the ICH M7(R1) guideline with supporting information can be submitted directly to the ICH Secretariat from either an ICH Member or Observer or other interested ICH stakeholders. The M7(R2) EWG is currently undertaking a maintenance of the guideline, which will result in the future ICH M7(R2) version. The work is now in Step 1. ICH M8 EWG was formed in 2010 to take over the development and revision of eCTD v 4.0 Implementation Guide and related documents from the ICH M2 eCTD Subgroup. Discussions and revisions took place and updated versions are expected. 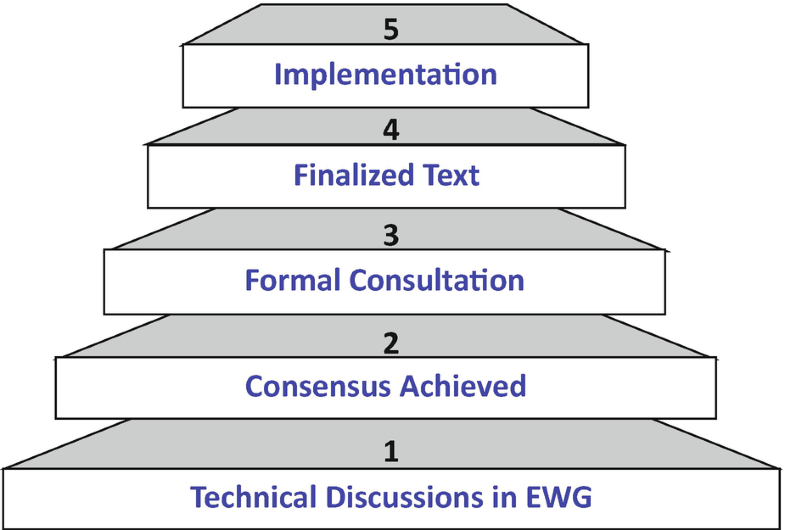 The M8 EWG also provides technical review and impact assessment of issues arising from the use of the ICH M4 CTD guidelines within the context of the eCTD. This topic was endorsed by the ICH Management Committee in October 2016. This new multidisciplinary guideline is proposed to address Biopharmaceutics Classification System (BCS)-based biowaivers. BCS-based biowaivers may be applicable to BCS Class I and III drugs; however, BCS-based biowaivers for these two classes are not recognized worldwide. This means that pharmaceutical companies have to follow different approaches in the different regions. This guideline will provide recommendations to support the biopharmaceutics classification of medicinal products and will provide recommendations to support the waiver of bioequivalence studies. This will result in the harmonization of current regional guidelines/guidance and support streamlined global drug development. This new multidisciplinary guideline will apply to the validation of bioanalytical methods and study sample analyses in nonclinical and clinical studies. Reliable data derived through validated bioanalytical methods are key for the review of marketing authorization application. This guideline will provide recommendations on the scientific regulatory requirements for bioanalysis conducted during the development of drugs of both chemical and biological origins. It will also address issues on method validation by considering the characteristics of the analytical methods used in bioanalysis, e.g., chromatographic assay and ligand binding assay. A harmonized bioanalytical method validation guideline will promote the prompt, rational, and effective nonclinical and clinical studies, thereby advancing the mission of the ICH. This guideline was in Step 5 in 1997 and has been revised now several times (Table 19). Current Step 4 version dated June 11, 2009. This guideline focuses on duration and timing of preclinical studies but also very importantly under which conditions different patient populations (men, women, children) can be included into clinical investigations. The guideline stresses that drug development is a stepwise process. It starts with short-term studies, and during the following 10 years and more, the longer time tests follow (Fig. 12). ICH/M3 provides information about which studies – and of what duration – are needed before the different clinical phases of development can be started. Special attention is realized during the transition from preclinical animal testing and the first administration of a new drug to humans, mostly male volunteers. Table 20 summarizes the different endpoints needed to be available and acceptable before this FIM. And Table 21 pays attention to the important data analysis of metabolites. Other studies if concern, e.g., phototoxicity, etc. In addition to this timing-schedule of preclinical studies in dependence of clinical development plans, there are recommendations under which conditions different populations can be included into clinical trials, populations such as men, women of childbearing potential, or pregnant women and finally pediatric populations. The objectives of M3 are to reduce differences between regions, to facilitate timely conduct of clinical trials, to reduce unnecessary use of animals and other resources, and to promote early availability of new drugs. The background of this guidance was that regulatory recommendations differed among regions of Europe, the USA, and Japan. Would it be possible to develop a mutually acceptable guidance? The guideline provides general guidance for drug development. A guideline is not a legal requirement. Approaches should be scientifically and ethically appropriate. The different endpoints are addressed in details in this note for Guidance. 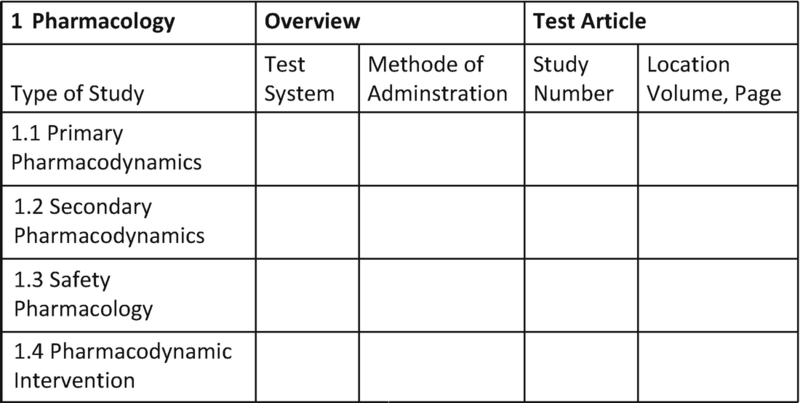 Table 20 summarizes all study requirements before the first starting dose in humans. The core battery of safety pharmacology is recommended to be conducted prior to first administration in humans. Any follow-up or supplemental studies as appropriate. During clinical development, a clarification of observed or suspected adverse effects in animals or during clinical trials may be needed. Before NDA, an assessment of effects on all systems should be provided. For kinetics, an information on exposure data (AUC) in animals prior human clinical trials is needed, while ADME data are needed at completion of Phase I (human pharmacology) studies. The duration for repeat dose toxicity studies is related to the duration of clinical trials and their therapeutic indication. In principle, the duration of animal studies is equal to or exceeds the duration of the human clinical trials. In general, there is a relationship of 1:1 ratio for studies in two mammalian species (one non-rodent). The details can be found in Table 22. This table was updated by thorough additional Japanese studies in 2000 during the 5th ICH Conference in San Diego, USA. 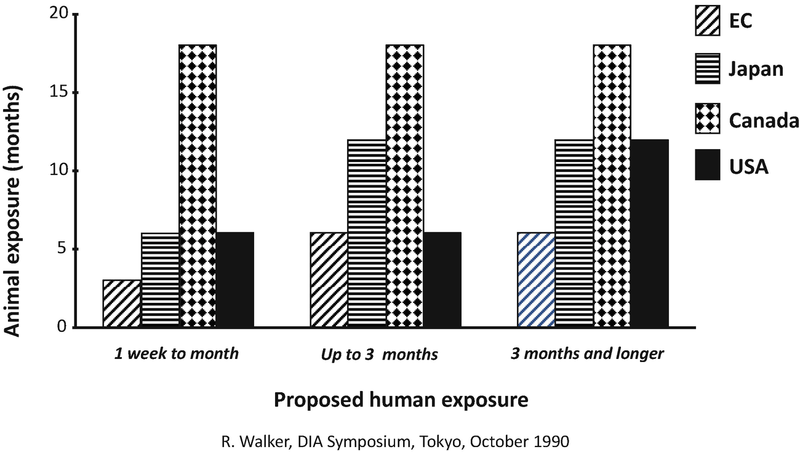 The Japanese scientists compared the utility of routine 4-week toxicity studies with 2-week studies and concluded that in regard to the prediction of toxicities to the male reproductive organs, 2-week studies were as valid as 4-week studies; therefore, the former regional Japanese requirement to ask for a minimum duration of 4-week studies before starting trials in men was dropped for a global consensus that the minimum duration of nonclinical studies is 2 weeks in rodents and 2 weeks in non-rodents. On the other hand, regional differences continue in regard to single-dose animal studies supporting single-dose studies in humans. In the USA, single-dose toxicity studies with extended examinations can support single-dose human trials. This concept encouraged the EU to offer comparable options with the microdosing concept. This principle may be especially valuable for gaining early data for go/no go decisions, when several candidates are being developed in parallel. Table 23 summarizes the different options and their conditions before applying drugs to humans. Results from two in vitro genotoxicity studies are recommended to be available prior to first administration to humans, while the standard battery should be completed prior to initiation of Phase II studies. Carcinogenicity studies do not need to be completed in advance of the conduct of clinical trials unless there is cause for concern (ICH: S1A). For pharmaceuticals to treat certain serious diseases, carcinogenicity testing, if needed, may be concluded post-approval. The inclusion of different patient populations reveals regional differences, especially for women with child bearing potential. There is a high level of concern for unintentional exposure of an embryo/fetus. Japan: assessment of female fertility and embryo-fetal development should be completed prior to the inclusion of women of childbearing potential using birth control in any type of clinical trial. EU: assessment of embryo-fetal development should be completed prior inclusion of Women of Childbaring Potential, prior Phase III trials female fertility studies are needed. US: women of childbearing potential may be included in early, carefully monitored studies without reproduction toxicity studies provided appropriate precautions are taken to minimize risk. US: assessment of female fertility and embryo-fetal development should be completed before Phase III trials. With the revision of this guideline, a number of important aspects have been incorporated into the overall strategies. It is stressed that drug development for the preclinical area is always a stepwise process where a number of goals is pursued. Short-term tests come first; investigations of life-threatening conditions dictate their timing. Long-term studies like carcinogenicity or reproductive toxicity studies accompany the clinical Phases II and III. The guideline provides answers which metabolites need to be characterized. M3R takes up an old idea of the FDA, to facilitate the kinetic access to humans. FDA had offered already in the late 1990s to use the concept of single-dose toxicity study to allow a single dose in humans. With M3R additional options are given. Very important are the recommendations of M3R for the inclusion of children into clinical trials (Tables 24, 25, 26, and 27). One needs to realize that children are not small adults; they can be more vulnerable or sometimes more resistant than adults. Their organs need years to mature. The past did not consider the pediatric population to test their tolerance, clinical or toxicological aspects. Most of the drugs were in former times never tested for children. This has lead now to a paradigm change: We try not to protect children against clinical trials but to protect the pediatric population by conducting specifically designed trials. And the agencies expect now that all activities in regard to the pediatric population should be planned in advance by submitting to the agencies a pediatric investigation plan (PIP) as soon as adult PK data available, which means, i.e., end of Phase 1. An important recommendation of M3 guidance refers to the question how to test drugs which are often administered in combination. The strategies are dictated by the possibility of an increase of concern when combined. Testing is needed when little is known for the different compounds, e.g., when compounds are still in early development, but very little is done when the pharmacological and toxicological characteristics are well investigated. Tables 28 and 29 give examples of these two extremes. M4 is another very important multidisciplinary guideline, which combines information for the three disciplines within the ICH Process: for quality, safety, and efficacy. The following section focuses predominantly on the preclinical safety issues (Fig. 13). The total document is divided into five modules: Module 1 contains regional specific aspects, it provides for the European Union, e.g., the European Community specific data. This module therefore is not harmonized but region-specific. Module 2 provides the summaries for quality, for safety, and efficacy. The quality part uses as a headline “Quality Overall Summary,” for safety and efficacy the terms “Non-Clinical or Clinical Overview,” The different names signal that the quality part is a clear summary, while the nonclinical and clinical part should be critical evaluations. 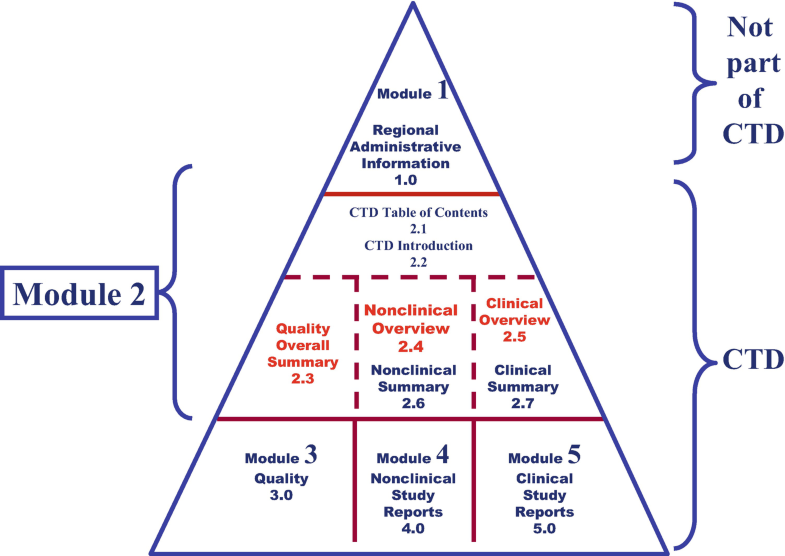 Module 3 provides chemical, pharmaceutical, and biological Quality information. Module 4 contains the nonclinical reports and Module 5 provides clinical study reports. The objectives of M4 are to assist authors in the preparation of nonclinical pharmacology, pharmacokinetics, and toxicology written summaries in an acceptable format. The CTD is not intended to indicate what studies are required but provides an appropriate format for the nonclinical data. The Common Technical Document is nothing other than a placeholder for the different parts of a documentation for the market authorization process. No guideline can cover all eventualities; common sense and a clear focus on needs of regulatory authority assessor are best guides to constructing an acceptable document. Therefore, modify the format if needed with the aim to provide best possible presentation and facilitate the understanding for the evaluation of the results. This organization is kept up in all parts of the dossier; it is repeated for the overview, the summaries, and the reports. Examples of detailed advice for sections on discussion and conclusion of pharmacokinetics: Information should be integrated across studies and across species; exposure in the test animals should be related to exposure in humans given the maximum intended doses. Similar examples for toxicology: in vitro studies should precede in vivo studies. Where multiple studies of the same type need to be summarized within the pharmacokinetics and toxicology sections, studies should be ordered by species, by route, and then by duration (shortest duration first). It is also recommended to limit the information in the summaries and overview. The overview should contain the essential and critical results on approximately 30 pages. The length of the Nonclinical Written Summaries should in general not exceed 100–150 pages (Table 30). The brief summaries for pharmacology should be written on 2–3 pages, for pharmacokinetics the same length and for toxicology approximately 6 pages. The tabulated summaries (examples given in Figs. 14 and 15 and Table 31) help to get a quick insight into the detailed data. A first thorough review is therefore based on reading the nonclinical overview in connection with some of the detailed tabulated summaries. This CTD has been tested in practice for several years. Although not perfect for every case, it has proven its usefulness. Researchers/Industry know where to place specific information and data and regulators know where to find them. This has facilitated the review process tremendously; only one dossier is necessary for international registration; a lot of resources can be diverted to more important issues. But the CTD is a living document; its weakness is apparent. In order to improve its quality and practicability, suggestions and proposals for improvements are invited from the public. These modifications are being dealt with within the process of “Questions and Answers,” the ICH experts publish their conclusions regularly. ICH guidelines are living and dynamic documents which are submitted constantly to revisions and modifications. This is happening to the Common Technical Dossier also. The FDA is proposing a new method which is supported by Japan but also followed with great interest by the European Medicines Agency. Experts work on a Standards for Exchange of Nonclinical Data (SEND). This SEND is an implementation of the CDISC Standard Data Tabulation Model (SDTM) for nonclinical studies, related to animal testing conducted during drug development. Send will facilitate the transfer of raw data of toxicology animal studies. When such experimental studies started after December 18, 2016, to support submission of new drugs to the US Food and Drug Administration, then such data should be submitted to the agency using SEND. Recommendations for implementing SEND, including how to model various nonclinical endpoints, rules to doing so, and examples with sample data are available on the CDISC SEND website. The Pharmaceuticals and Medical Devices Agency in Japan will enforce its use in the future also, most probably in 2020. SEND will become a mandatory part of submissions for relevant investigational new drugs (INDs), new drug applications (NDAs), biologics license applications (BLAs), and abbreviated new drug applications (ANDAs) and will start by December 17, 2017. From now on companies have to provide electronic standards for capturing individual data from nonclinical studies, including both metadata about how the study is conducted and the actual data itself. The FDA is trying to move away from paper that is creating a physical storage problem. It should improve the review process; not only for review time but for the safety aspects in that there would be a data warehouse at the agency that can be searched across studies and across sponsors. SEND recommends how one stores truckloads of data and be able to access it in a finite review time and compare it with data from a similar active ingredient. Those studies could well have been submitted by different sponsors. The end result is that they can recommend a more focused approach to safety observations in clinical trials. For a new submission submitted to FDA/CDER after March 15, 2020, studies need to adhere to the new standard. The other studies in the submission which started before March 15, 2020, are not required to be submitted according to the new standard, although it is encouraged/preferred. Visit the SEND CT page to get the most recent CT and contact edata@fda.hhs.gov for additional advice about such a submission. The FDA will use the files for the review process, via the Nonclinical Information Management System (NIMS) suite. This suite will facilitate the review of submissions more efficiently than with only PDF or printed submissions that contain the individual animal data. SEND will only be a requirement in the USA for certain FDA submissions. However, it has operational use, such as transfer between organizations, sponsor warehousing, etc. Accordingly, it is preferable to produce SEND datasets, even if not technically required for submission. However, it is a longer-term goal for the SEND datasets to eventually replace the individual tabulated datasets. A SEND package consists of a number of dataset files (in XPT format, a.k.a., SAS v5 transport format) and a define.xml file (which provides information about what is in the datasets). The publicly available sample SEND datasets can be seen in, e.g., PhUSE github, https://github.com/phuse-org/phuse-scripts/tree/master/data/send or contact submit@instem.com offering a subject line of “Send me SEND” to get an FDA validated SEND dataset for an example 28 day toxicity study. Finally go to SENDDataSet.org to download an FDA validated multi-organizational SEND dataset. SEND will offer data mining opportunities, which will be used by the FDA/industry. The benefits can only be realized with time when significant sufficient database of historical data or studies are converted and loaded into repository systems to facilitate such queries. Developers very certainly should follow FDA recommendation to avoid any delays for the marketing authorization process. ICH can look back to 25 years of achievements. As the most successful international harmonization initiative in the world, its achievements include an understanding of innovation, a common regulatory platform based on more than 70 guidelines, improvement of scientific guidelines, facilitating communication between different regulatory agencies and between industry and the regulatory authorities, effective use of research and development (R&D) resources, and greater mutual acceptance of R&D data realized. In addition, the drafting process of guidelines has identified gaps in science; new studies analyzing problems have been conducted to validate the assays being used to confirm safe use of drug in humans, like validity of 2-week studies to assess male fertility or the validity of transgenic mouse models for assessing the carcinogenic potential within the ILSI/HESI evaluation process. Further guidance documents are in preparation or released for consultation. Among them gets the guideline on environmental risk assessments for pharmaceuticals more importance. Genotoxic impurities are handled with great care. Aspects like drug-induced hepatotoxicity, gene transfer, genomics, etc. are waiting to be assessed for regulatory advice. It is a great success that guidelines in general today are science driven and based on valid assessment in practice. The open-minded acceptance of new technologies, e.g., in vitro systems, molecular databases, in silico data collections, computer sciences, imaging, and critical use of omics as animal and human biomarkers will continue to deliver high-quality products. At the same time, there is awareness that with the increase of high-quality results, the attrition rate does not increase. The improved cooperation of regulatory agencies and industry has created an atmosphere of mutual confidence and trust. The open dialogue attracts scientific strategic skillfulness and reduces rigidity. The road of success is the cooperation on a level below legislation while retaining national sovereignty. Many issues have been resolved; several problems wait for a harmonized solution. Enthusiasm continues; dynamic contributions support the further process of improving and facilitating pharmaceutical development under the leadership of ICH with the continuous aim to bring safe drugs faster to the patient.